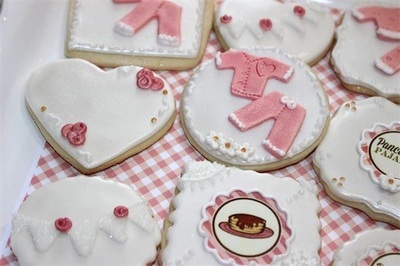 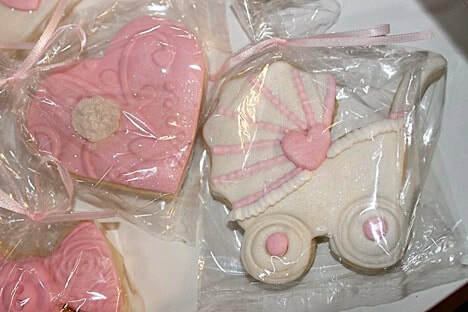 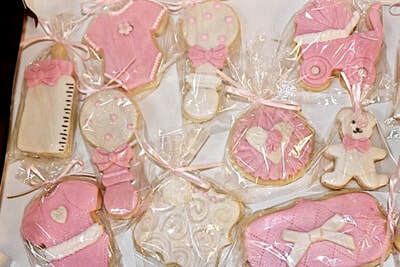 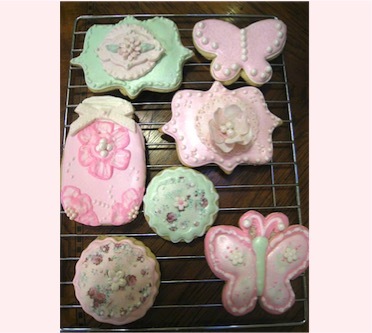 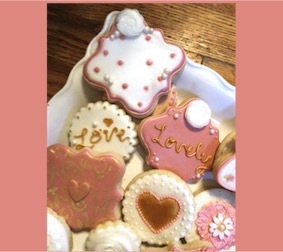 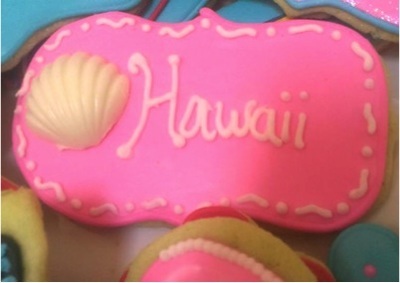 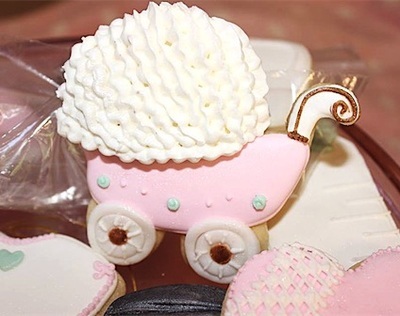 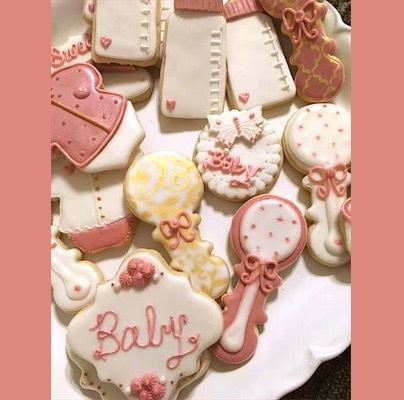 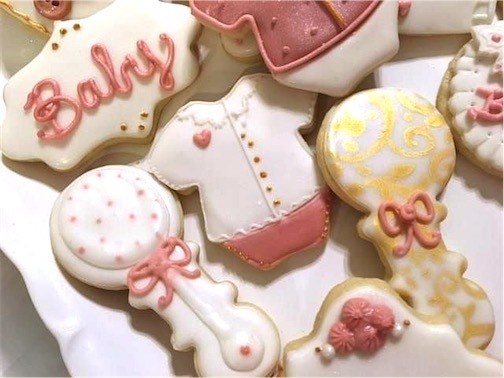 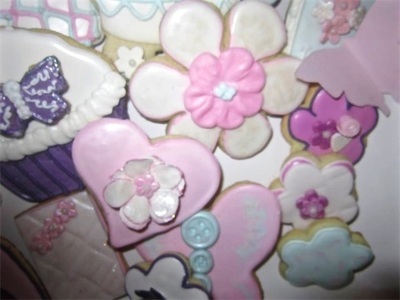 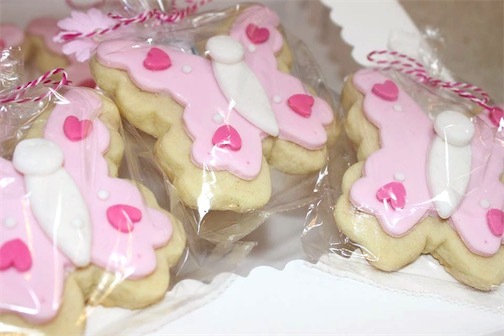 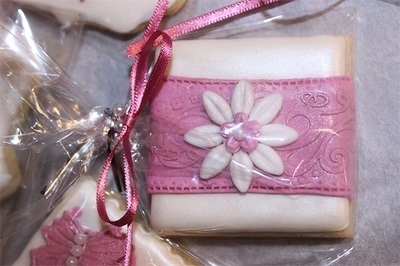 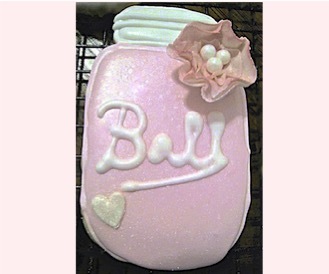 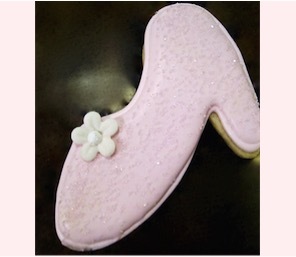 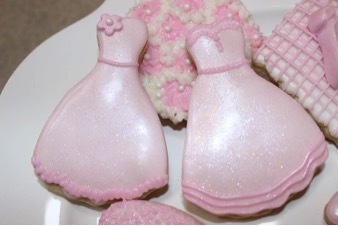 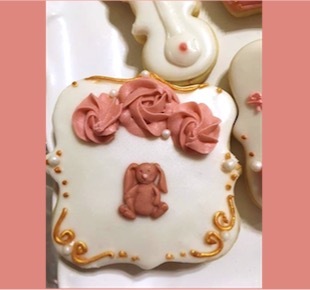 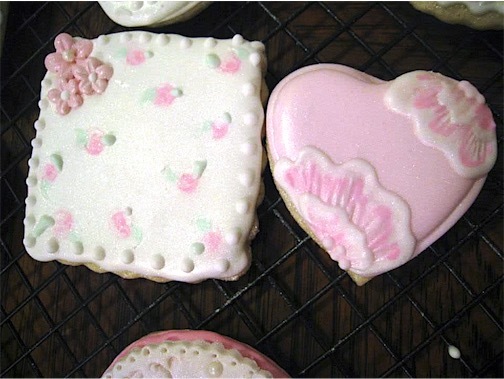 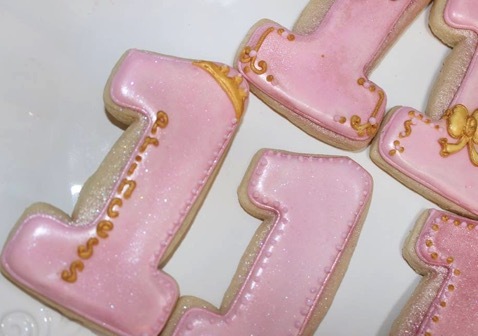 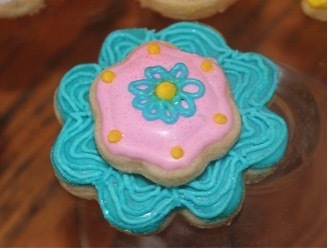 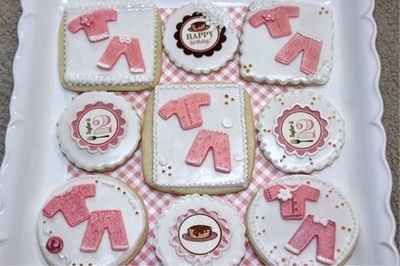 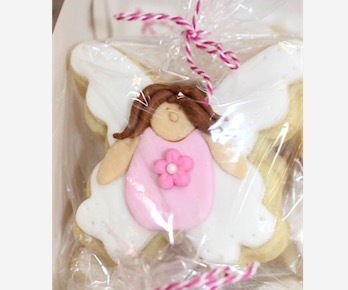 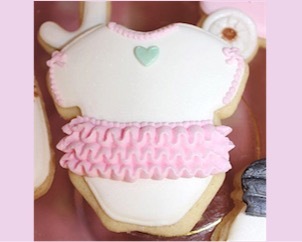 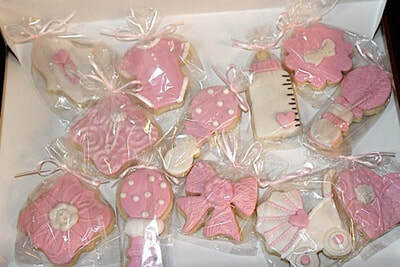 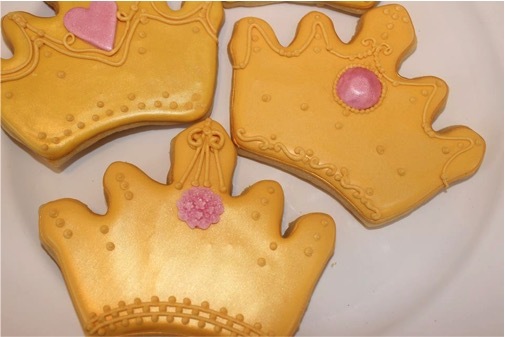 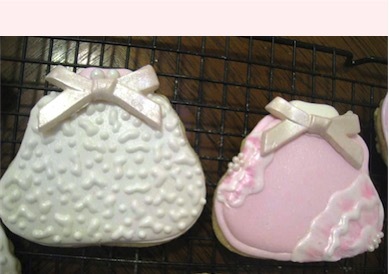 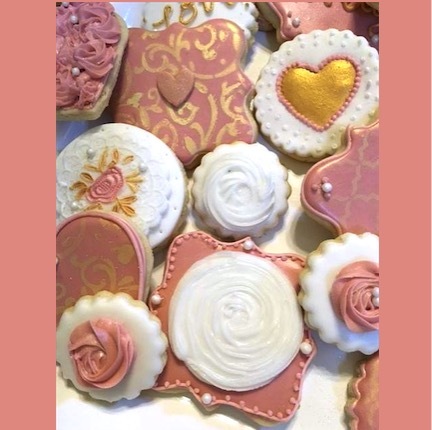 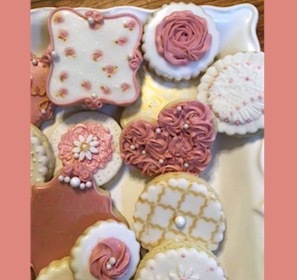 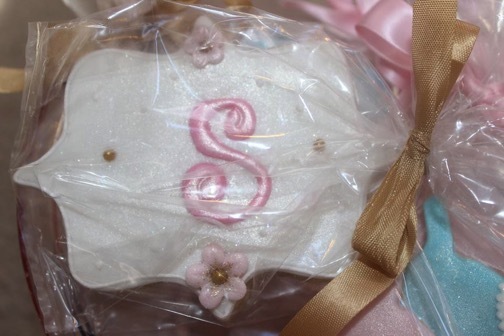 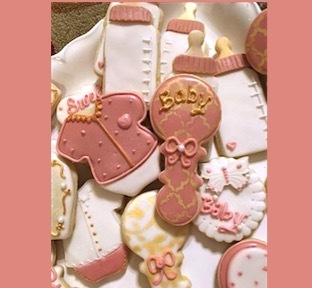 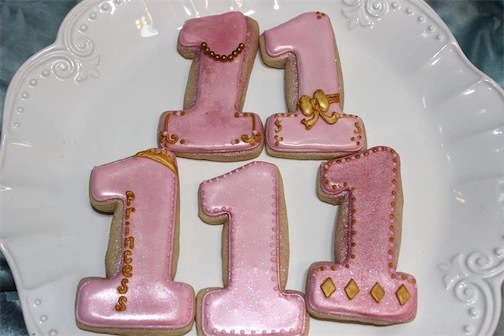 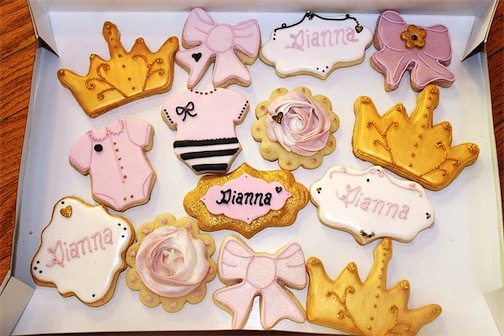 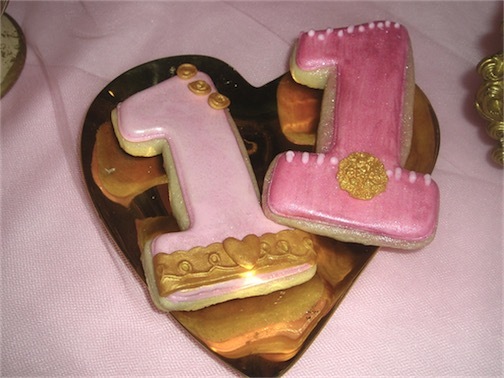 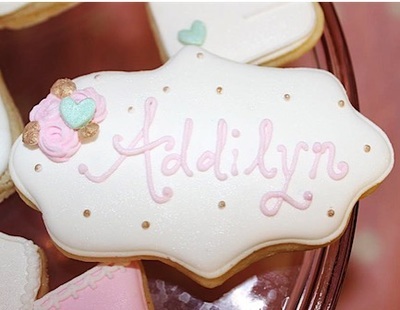 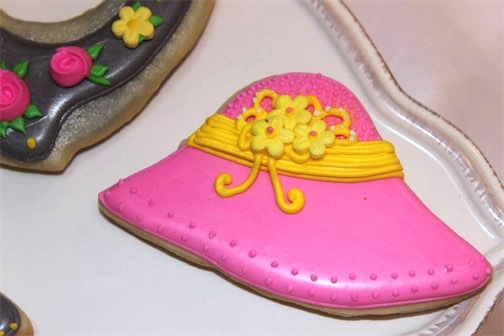 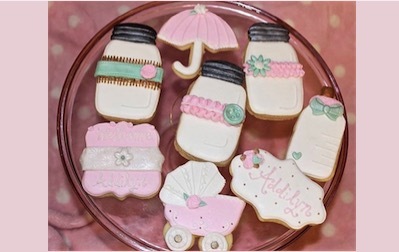 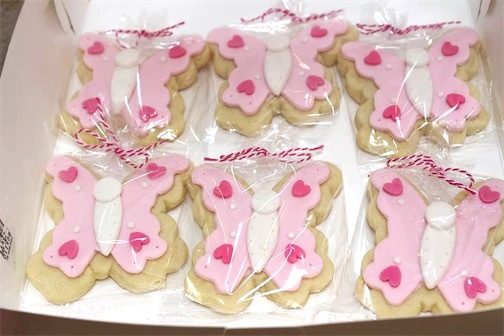 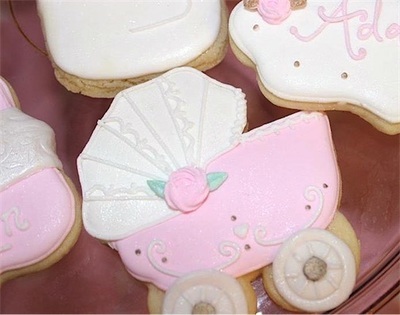 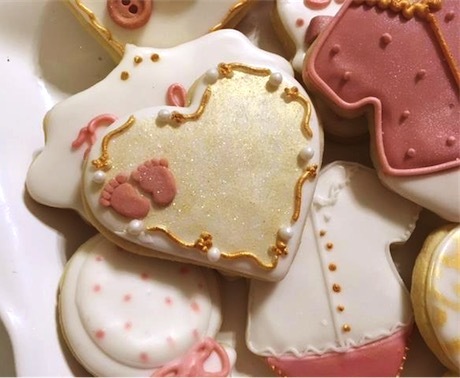 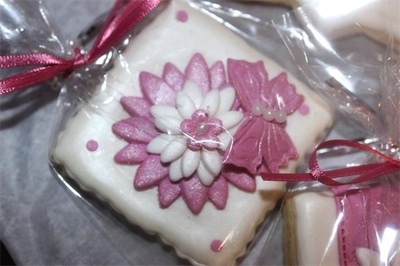 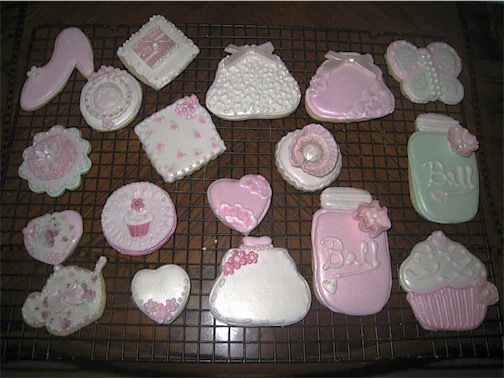 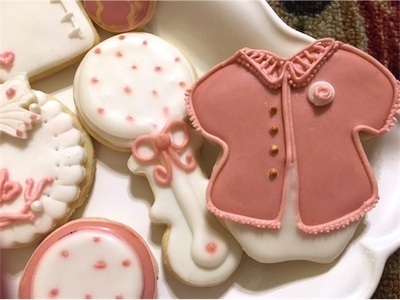 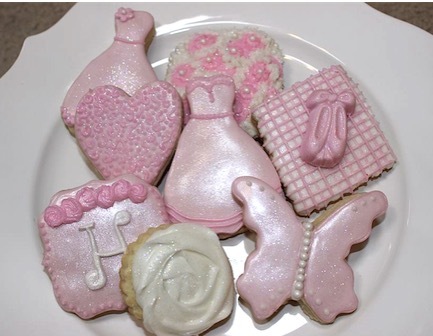 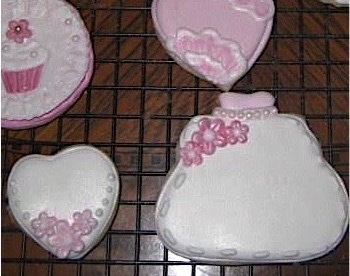 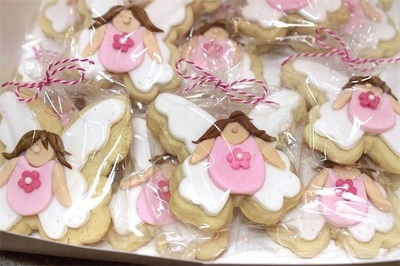 Traditional Baby Girl, "Pink" Shower Cookies! 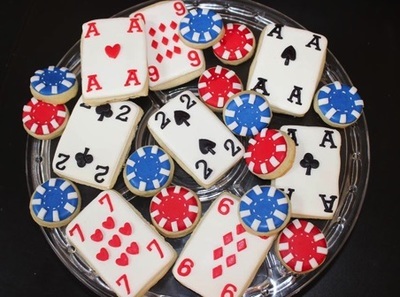 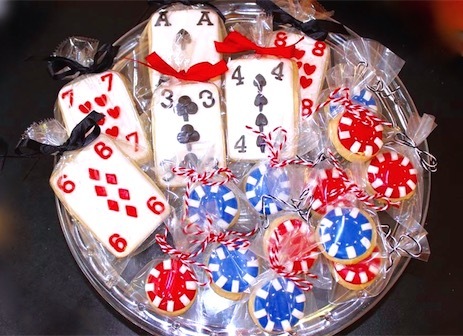 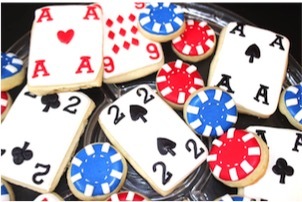 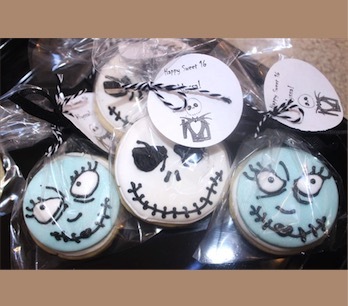 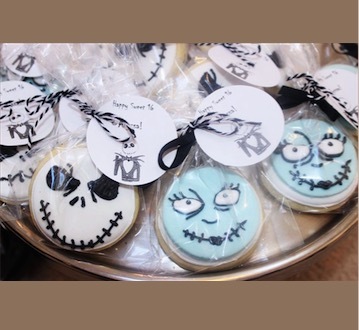 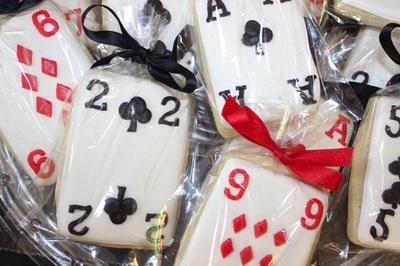 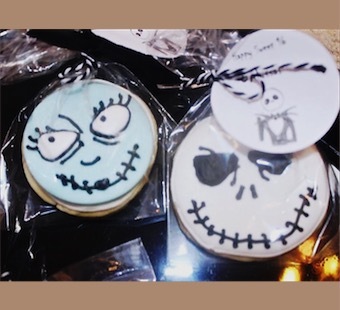 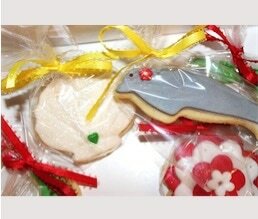 "Alice In Wonderland" Birthday Cookies! 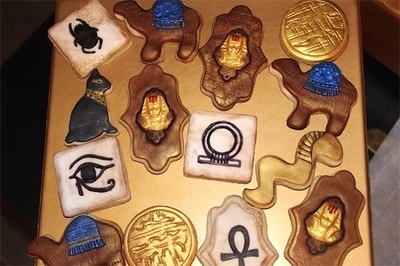 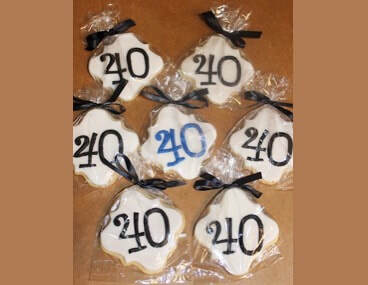 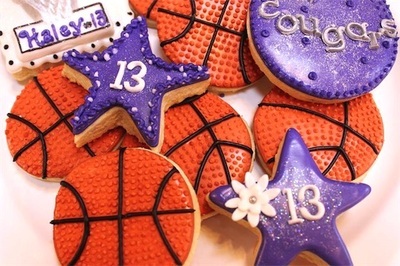 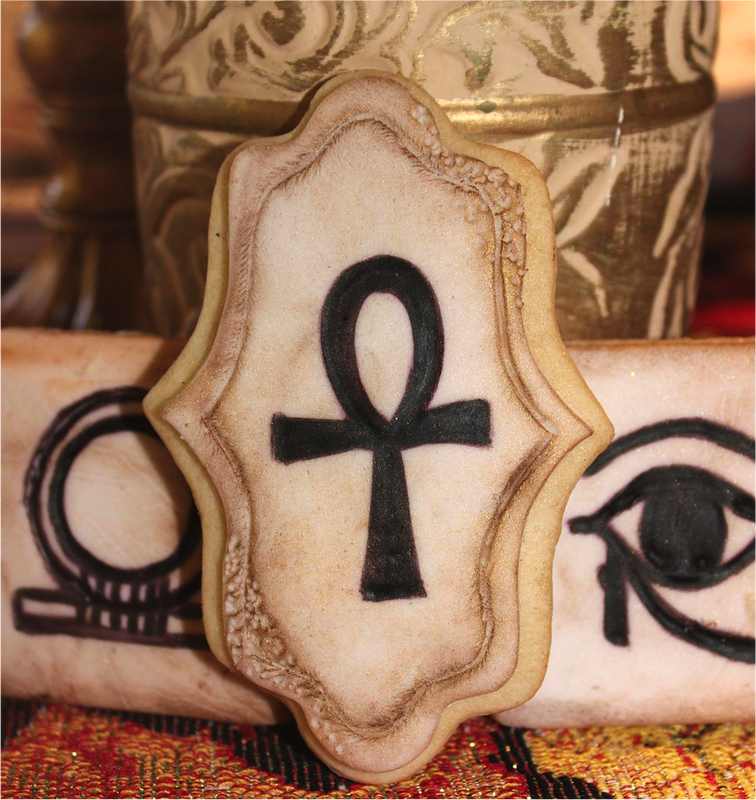 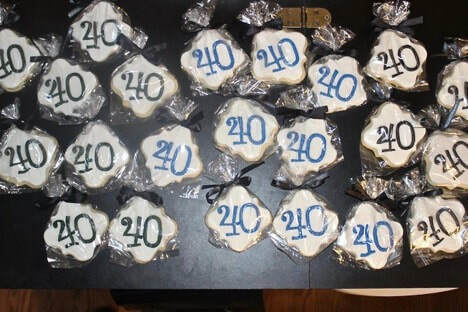 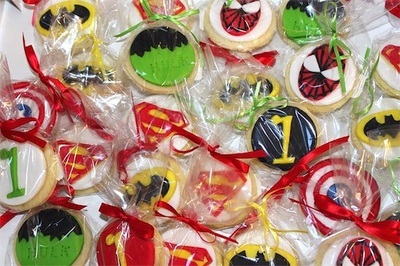 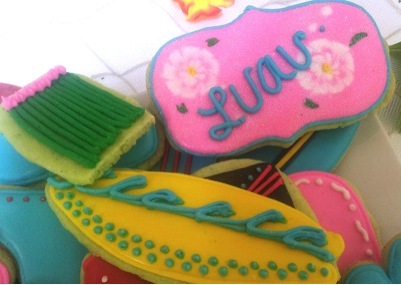 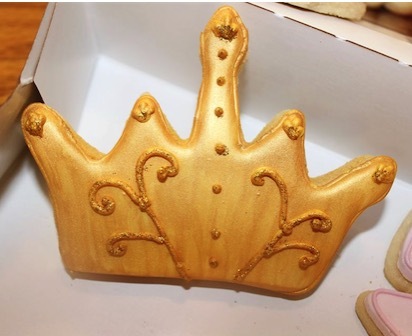 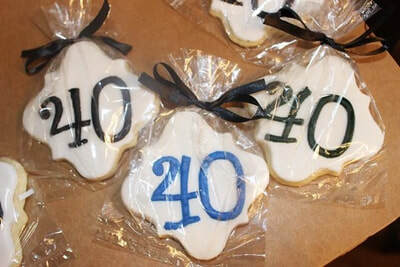 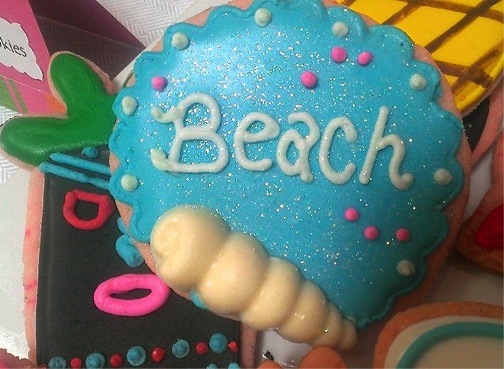 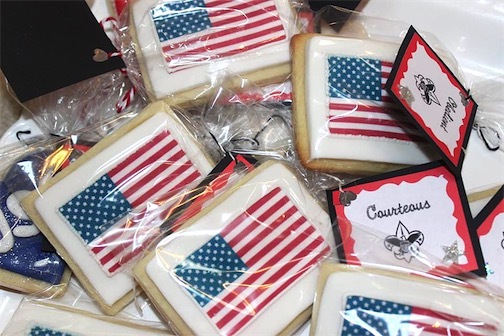 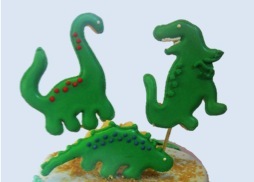 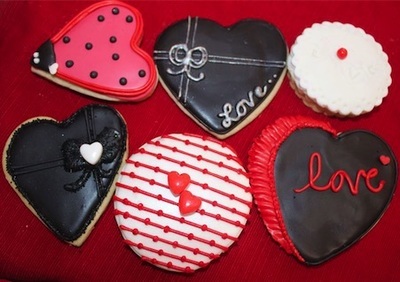 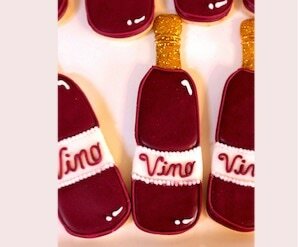 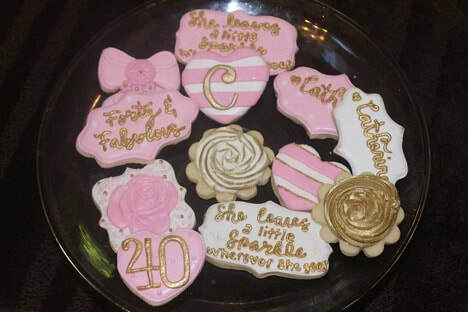 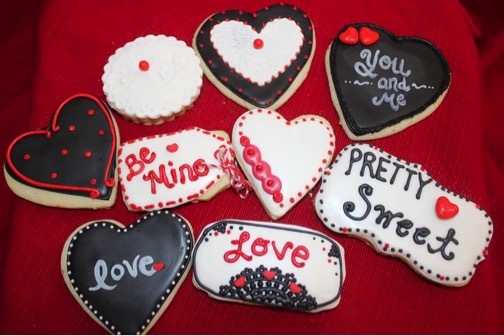 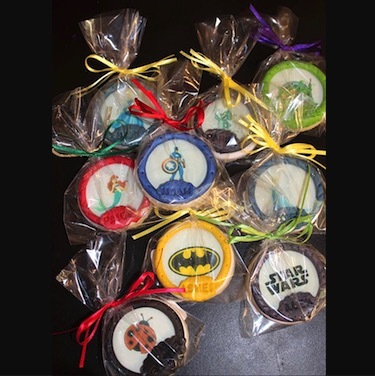 Forty & Fabulous Birthday Cookies! Co-Worker Biking Injury, Get Well Soon! 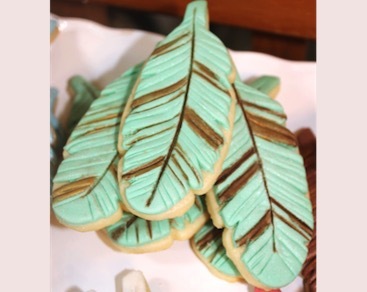 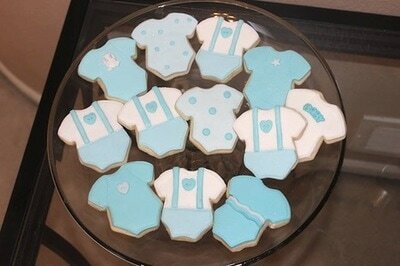 Baby Boy Turquoise Ombre Cookies! 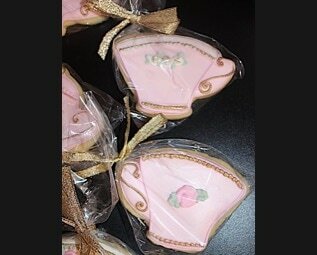 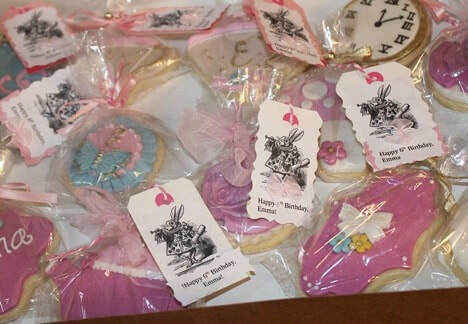 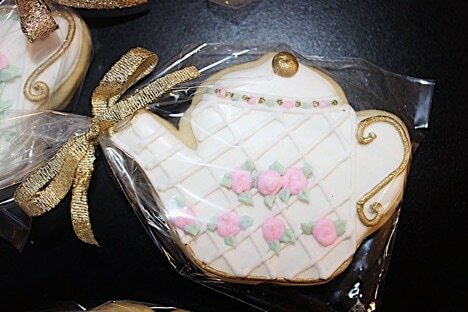 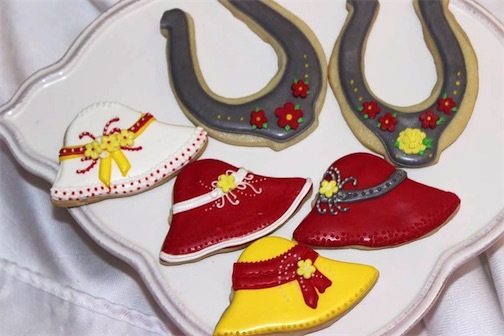 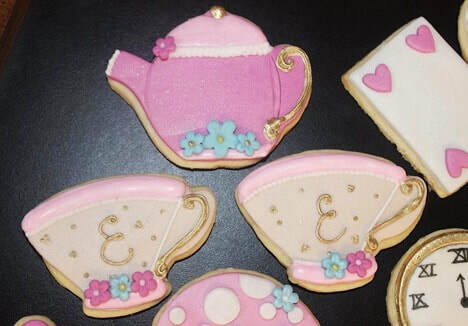 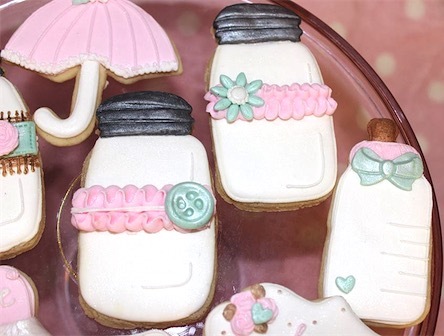 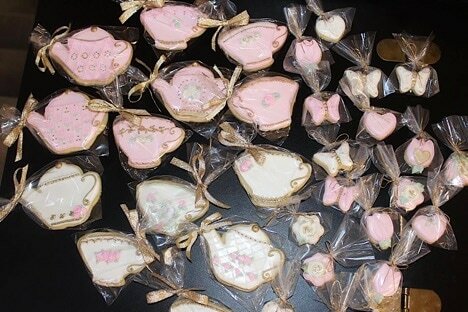 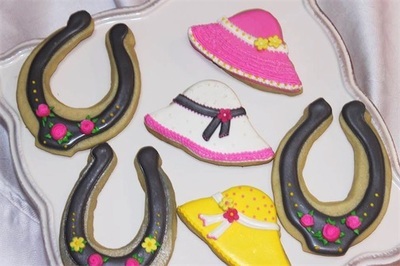 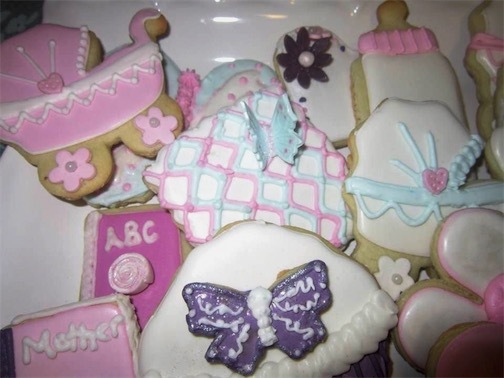 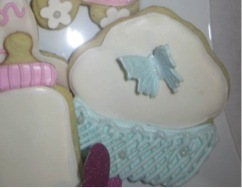 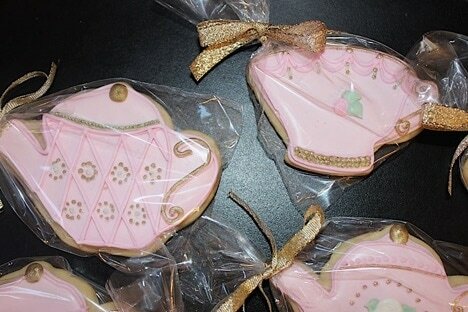 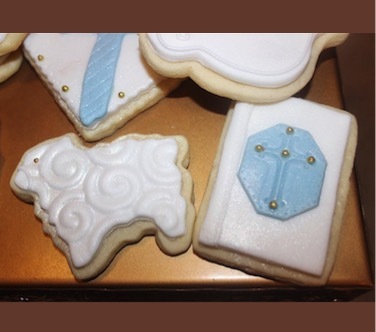 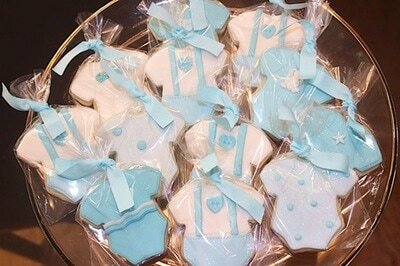 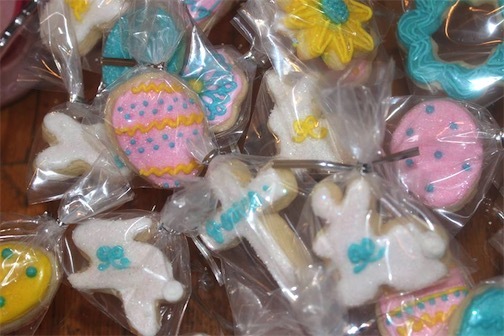 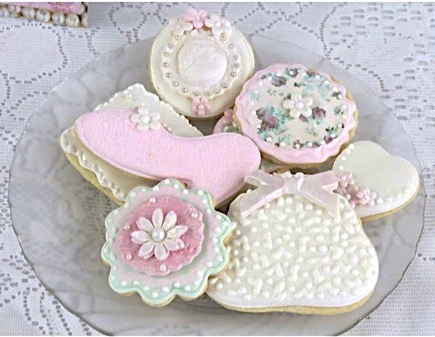 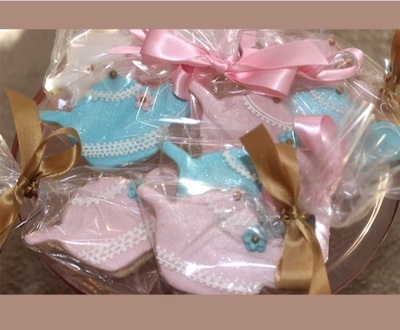 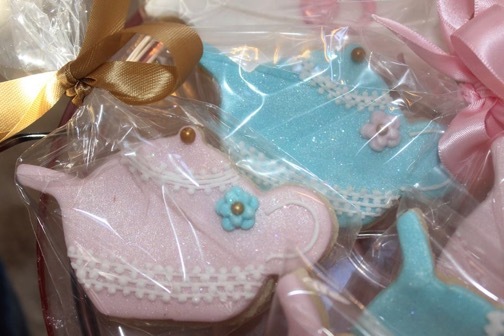 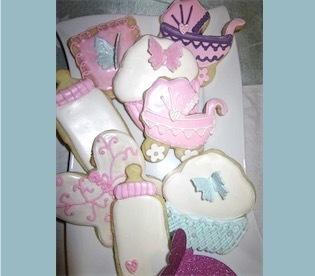 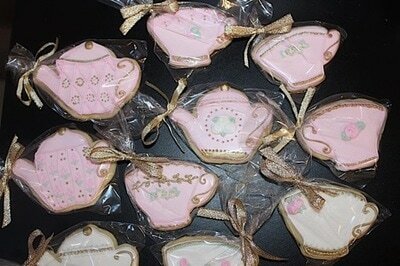 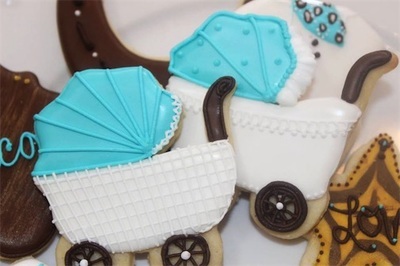 Baby Shower Tea Party Cookies! 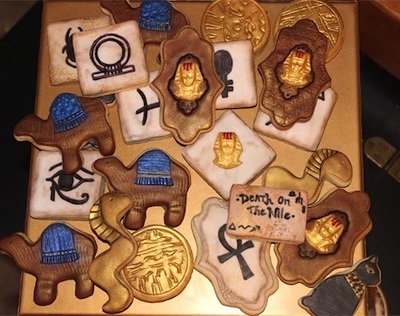 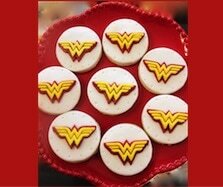 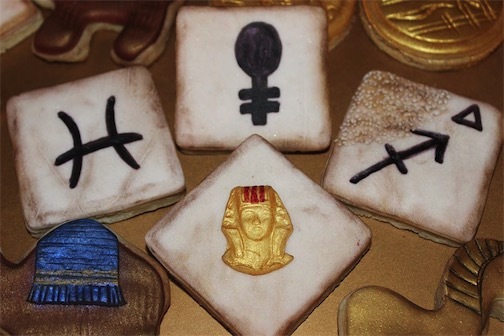 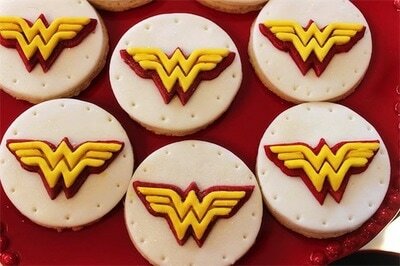 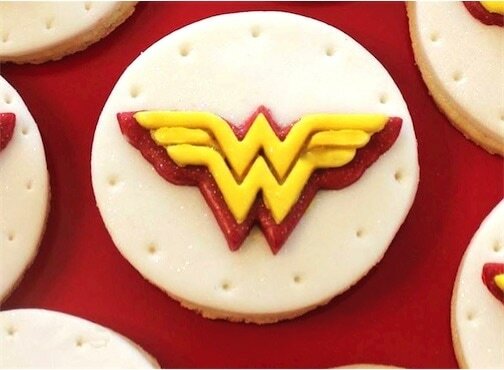 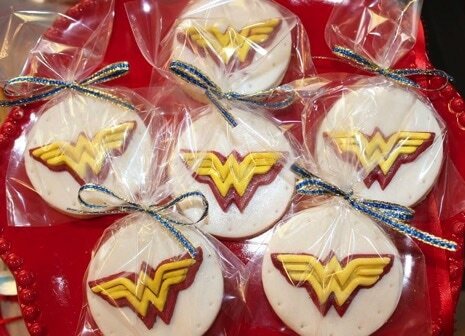 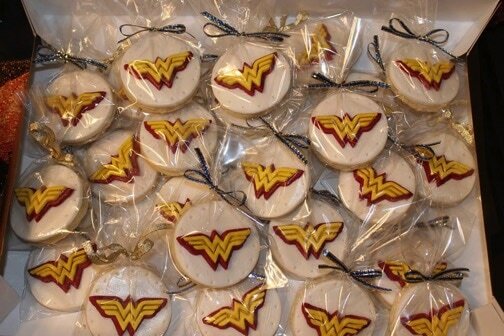 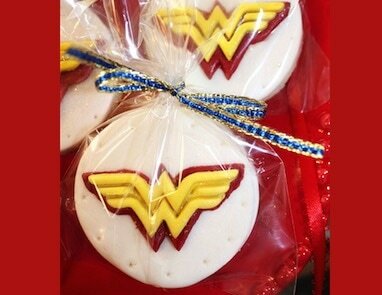 50th Birthday "Wonder Woman" Cookies! 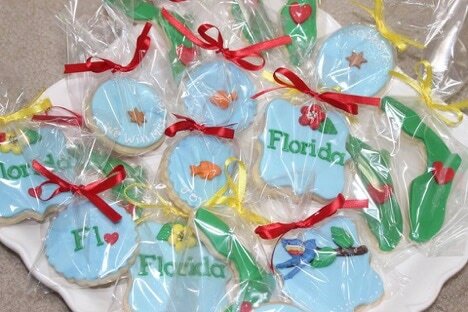 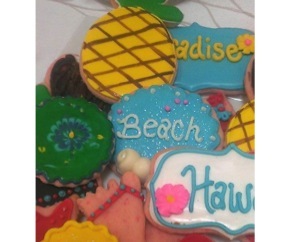 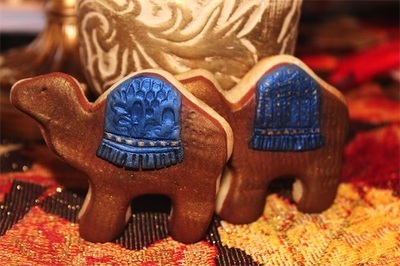 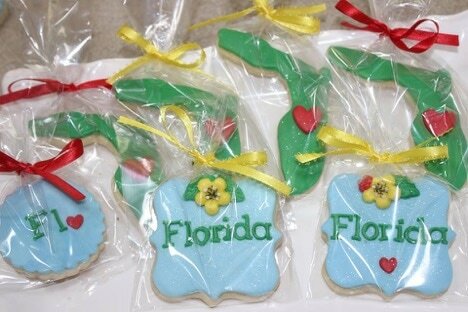 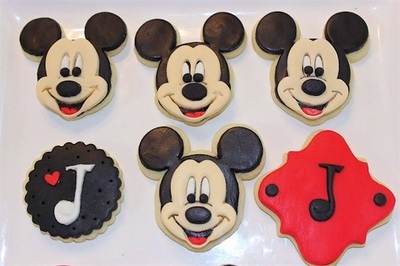 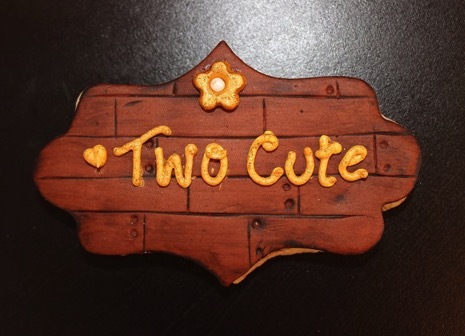 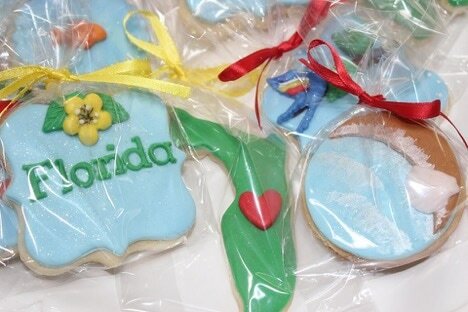 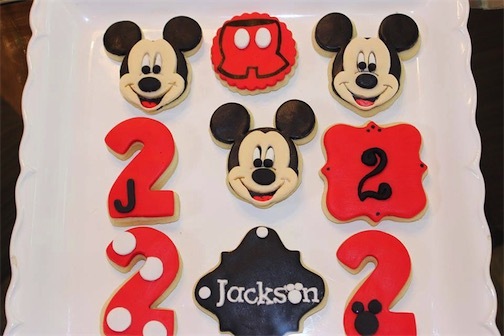 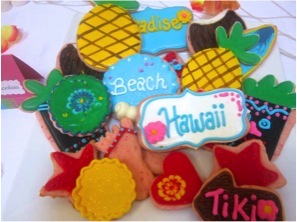 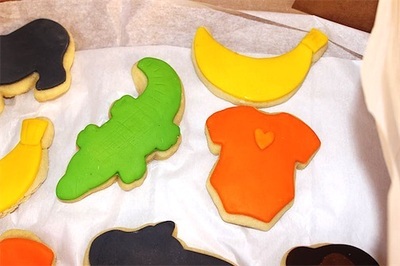 "We're Moving to Florida" New Address Cookies! 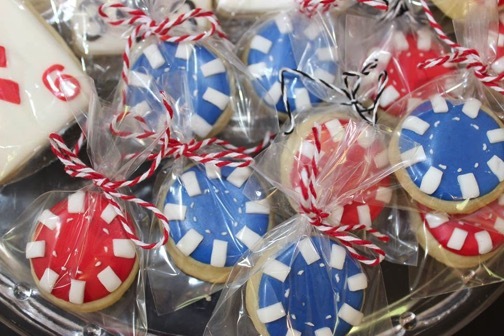 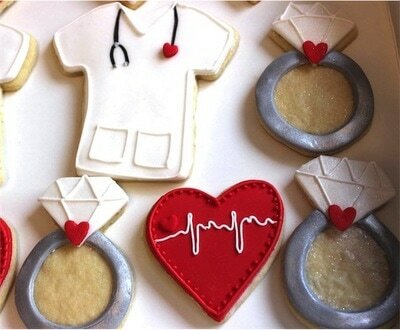 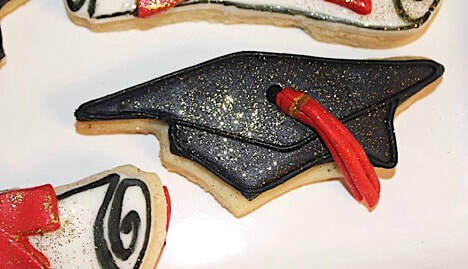 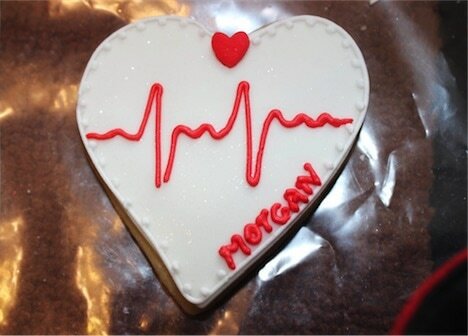 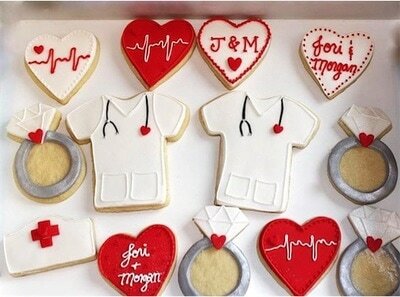 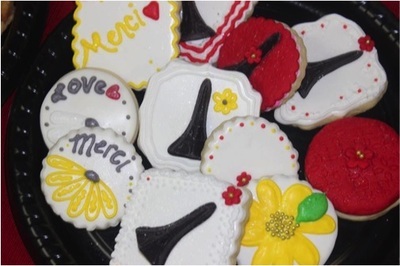 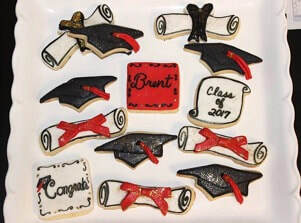 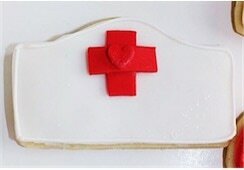 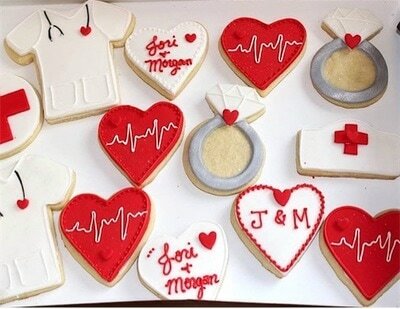 School of Nursing Graduation/Engagement Party Cookies! 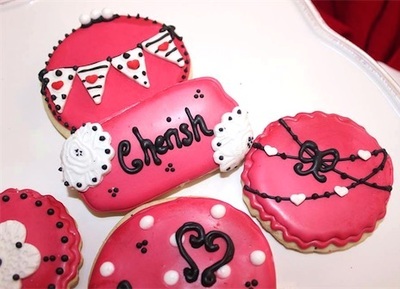 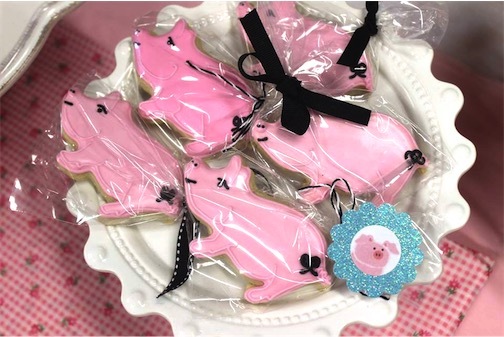 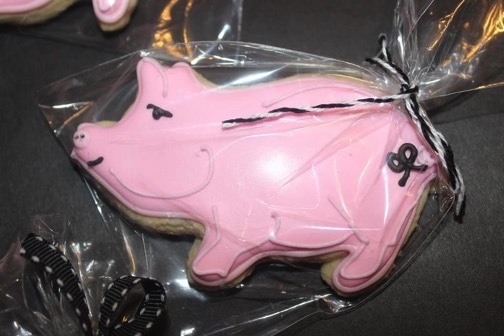 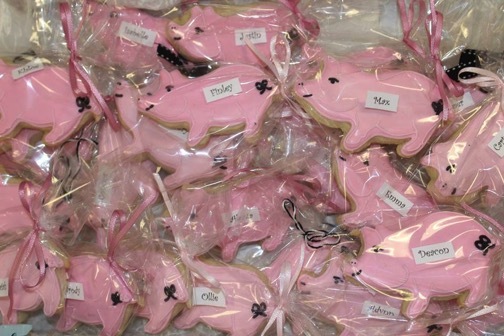 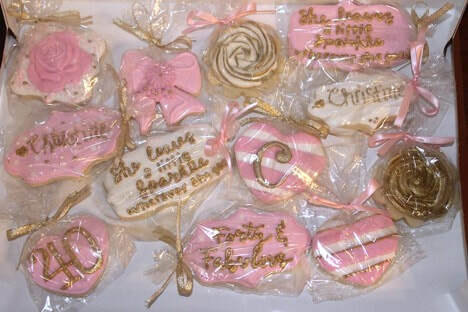 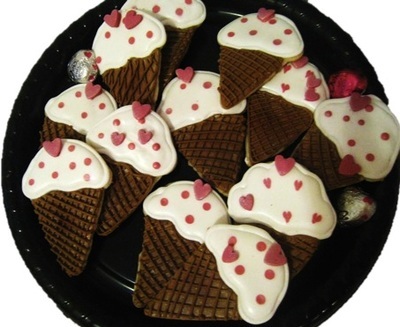 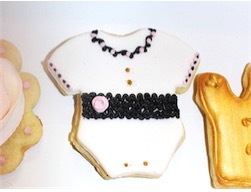 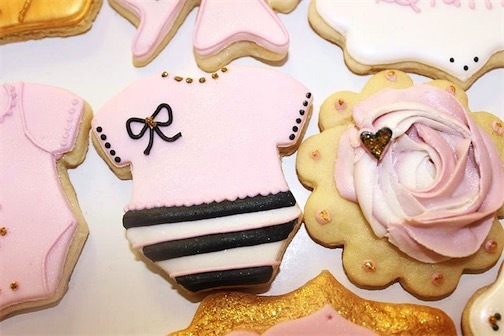 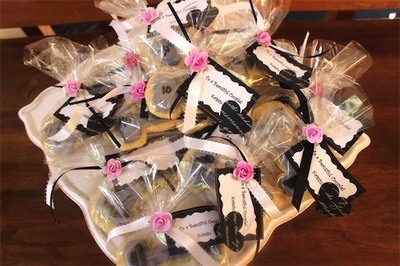 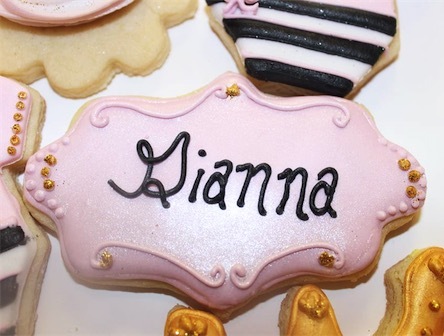 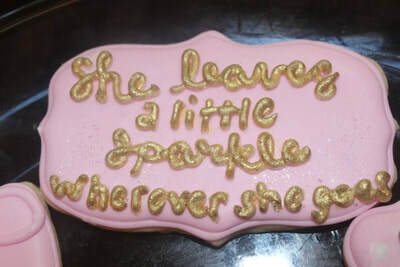 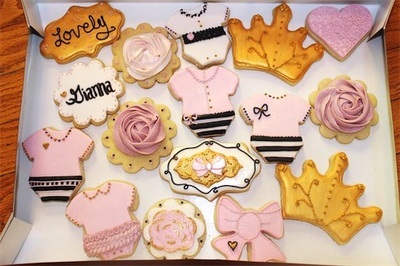 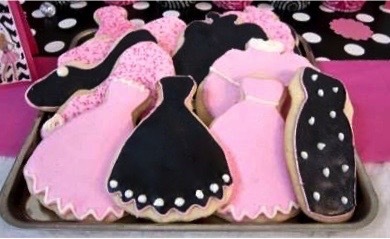 Pink & Black Baby Girl Shower Cookies! 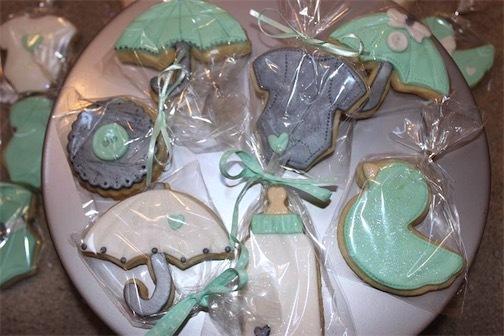 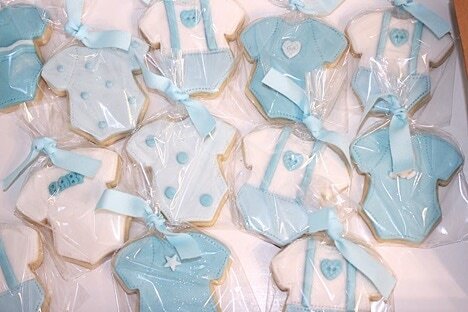 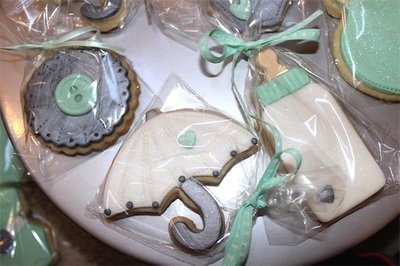 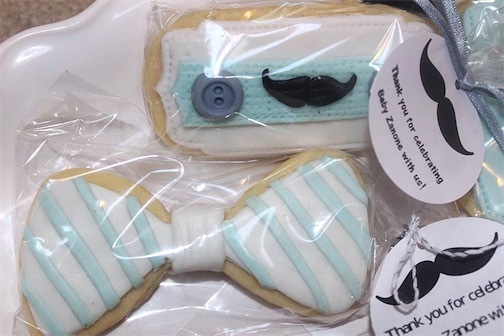 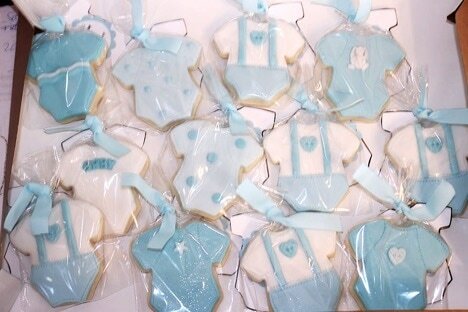 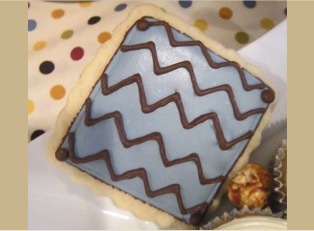 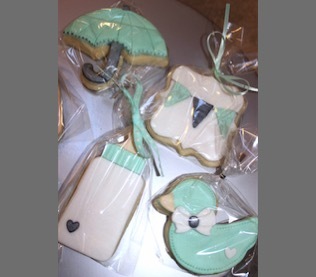 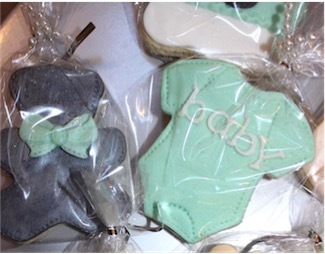 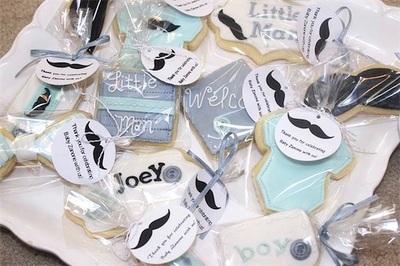 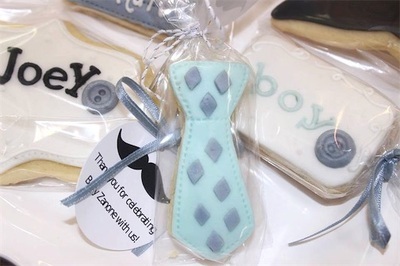 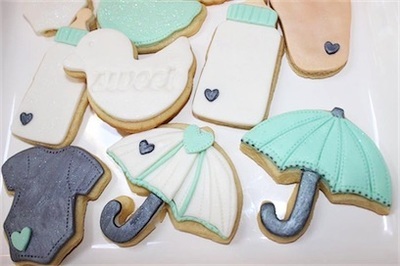 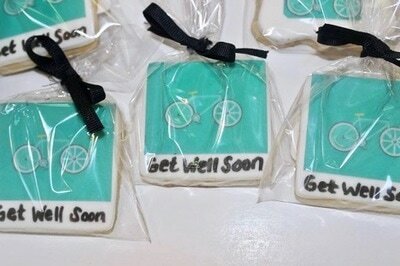 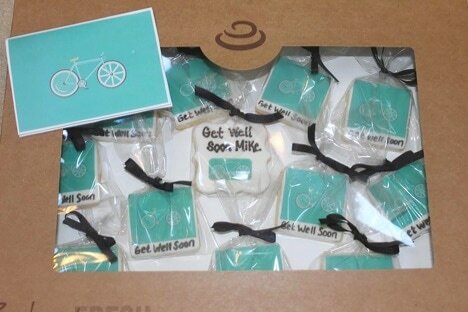 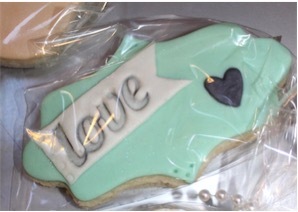 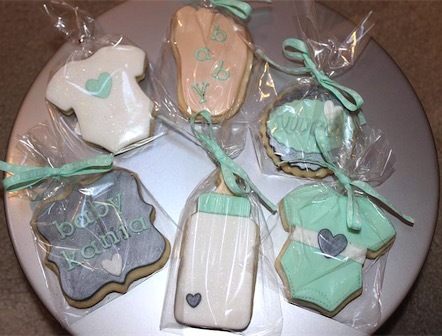 Mint & Grey Boys Baby Shower Cookies! 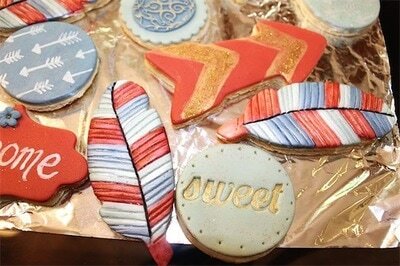 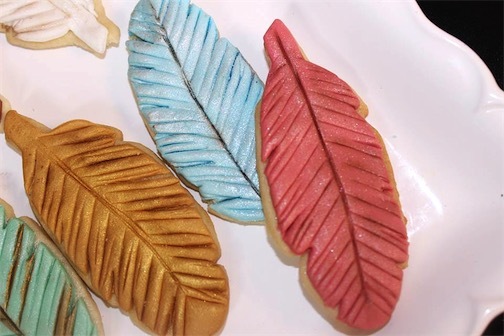 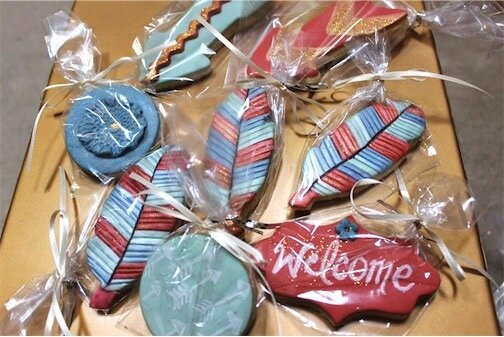 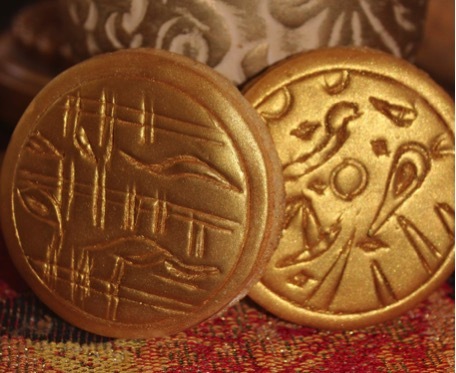 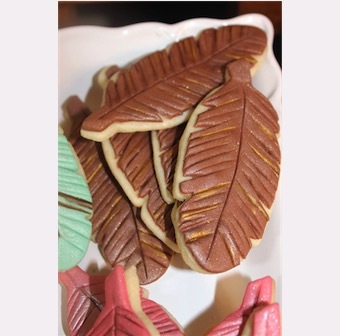 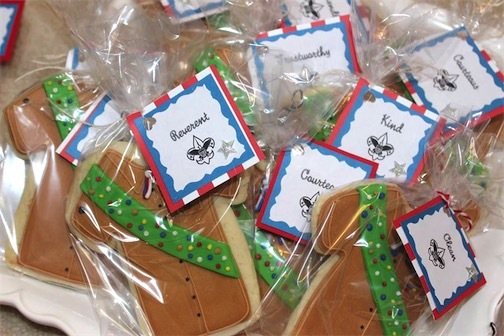 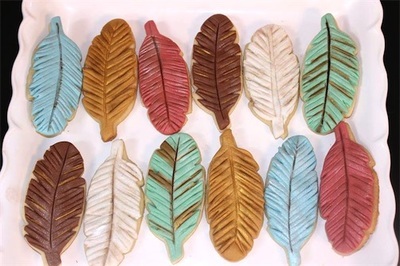 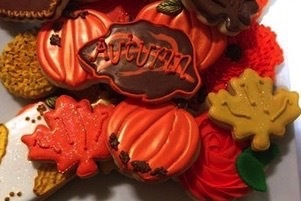 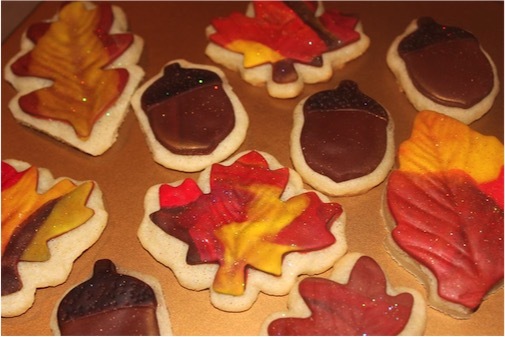 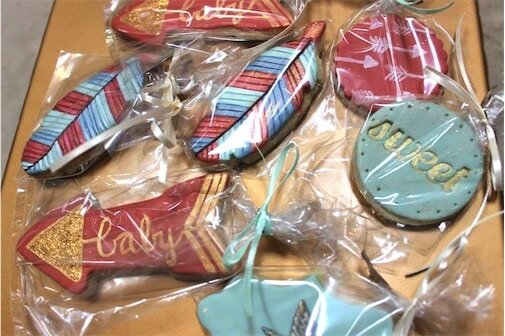 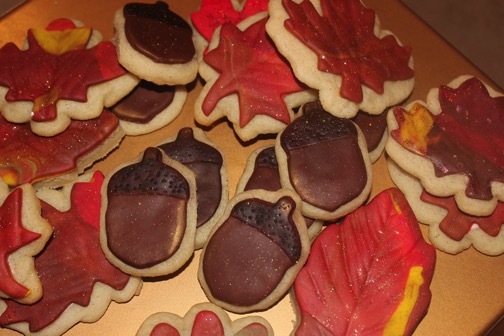 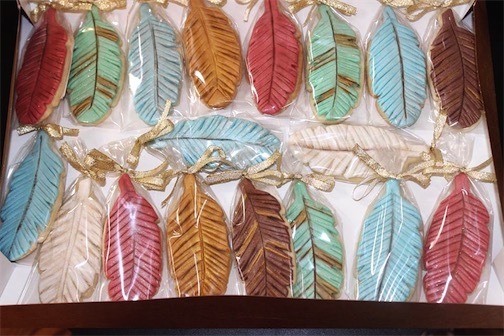 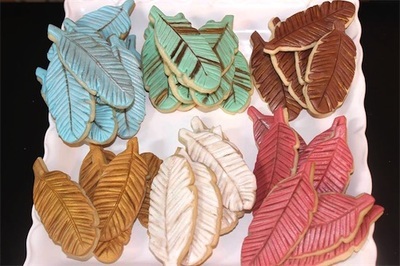 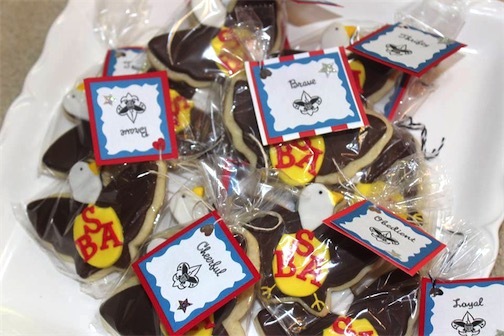 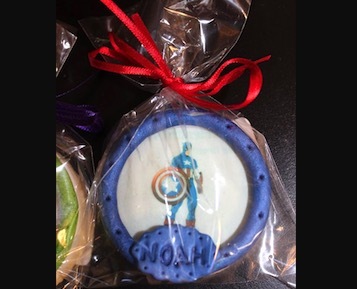 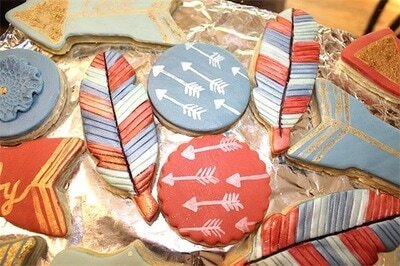 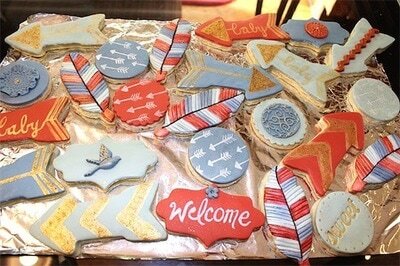 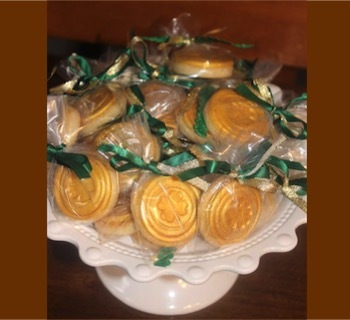 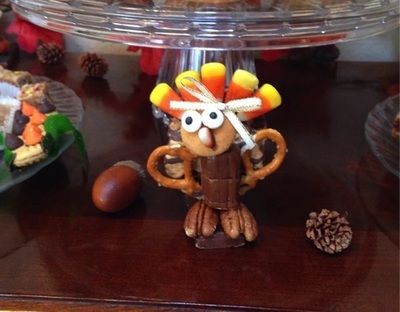 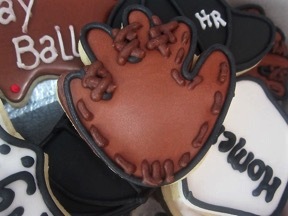 "Feathers & Arrows" Baby Shower Cookies! 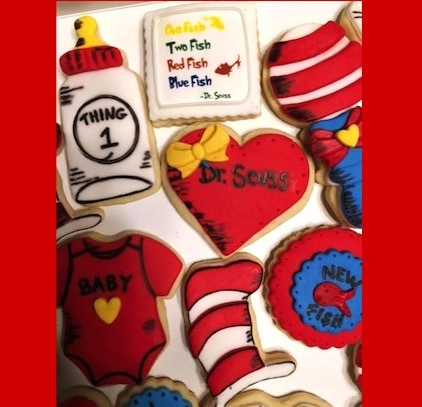 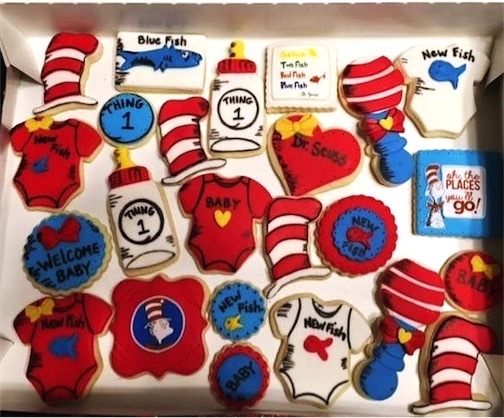 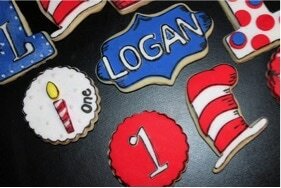 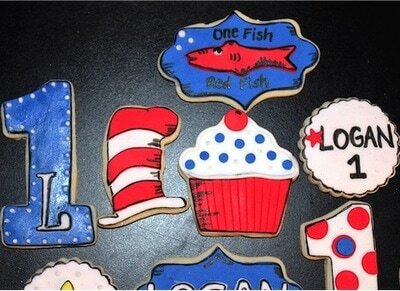 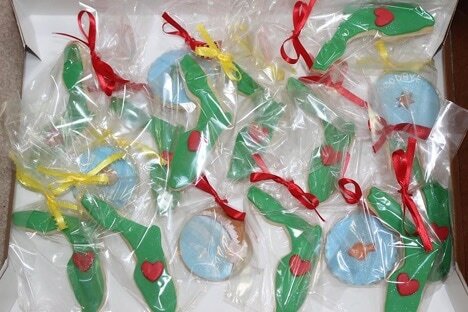 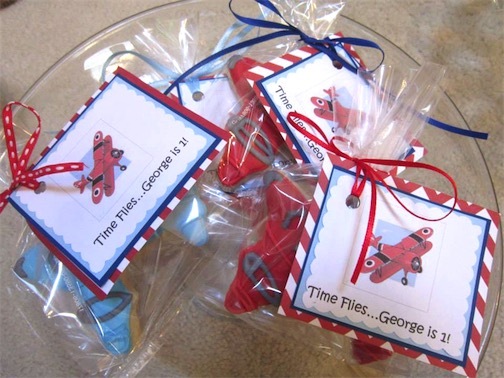 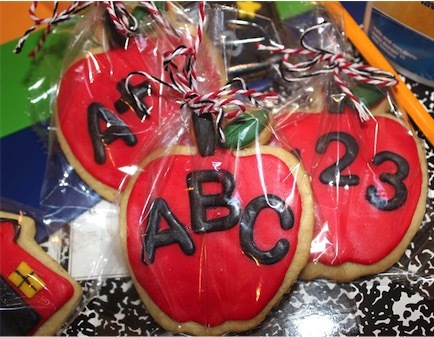 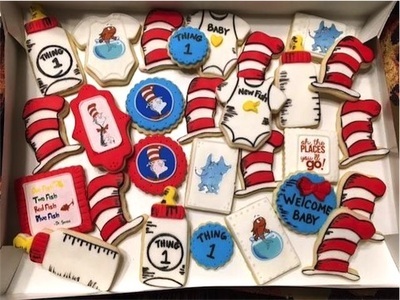 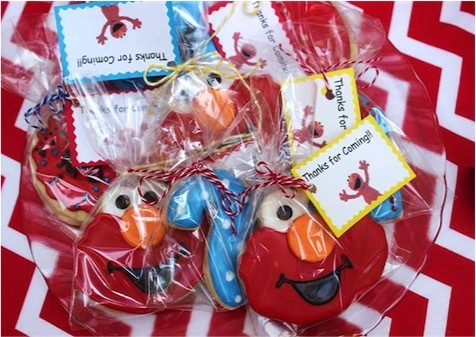 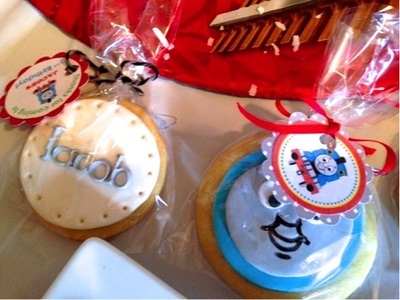 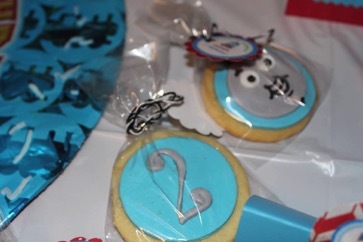 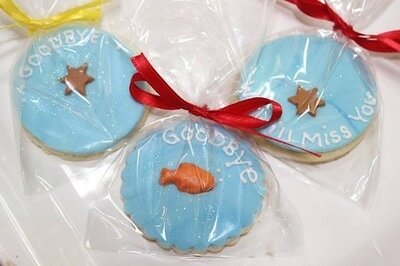 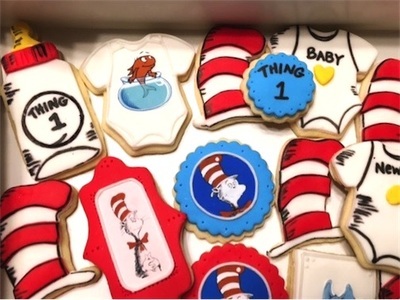 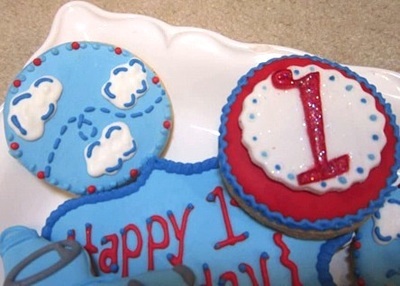 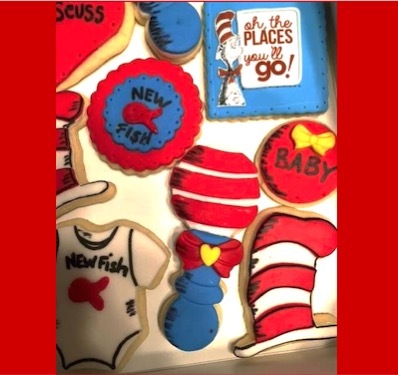 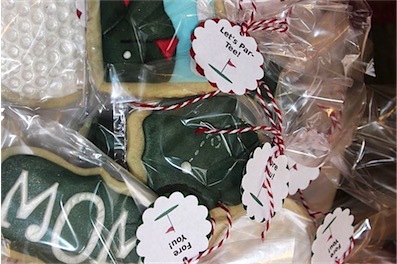 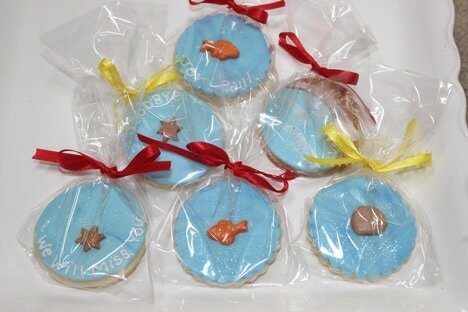 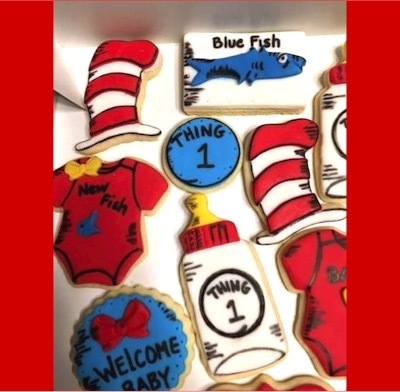 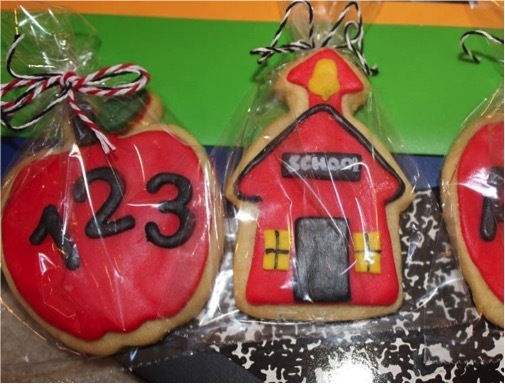 Dr. Suess Baby Shower Cookies! 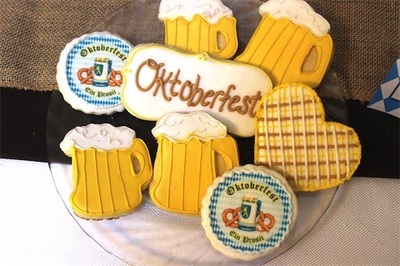 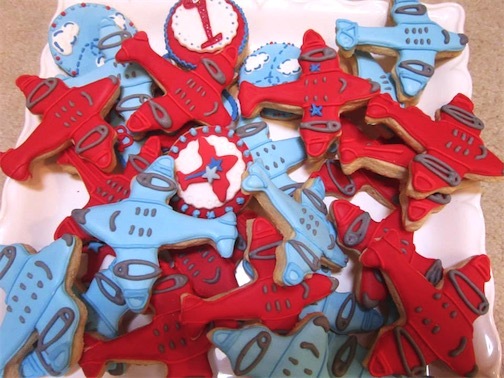 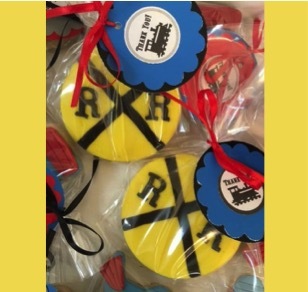 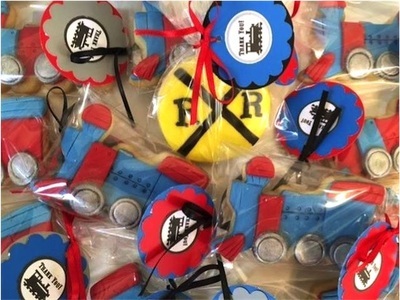 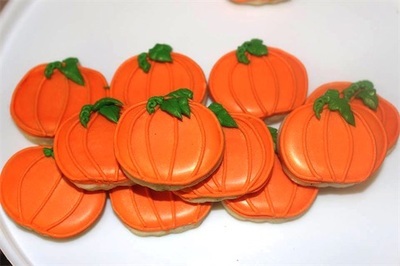 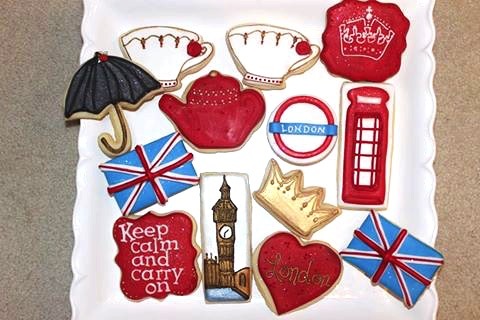 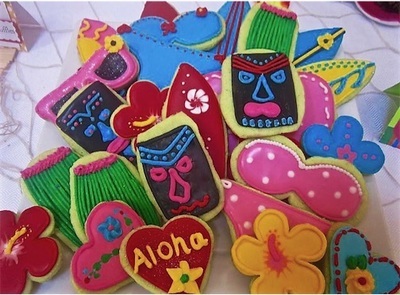 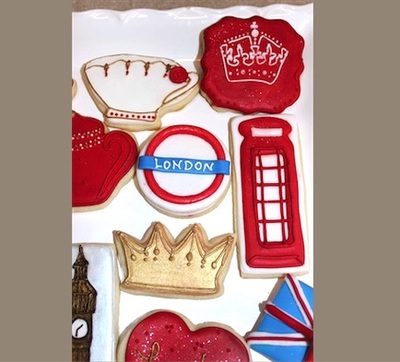 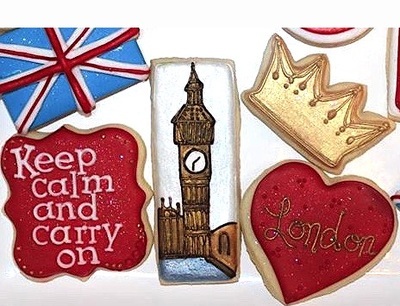 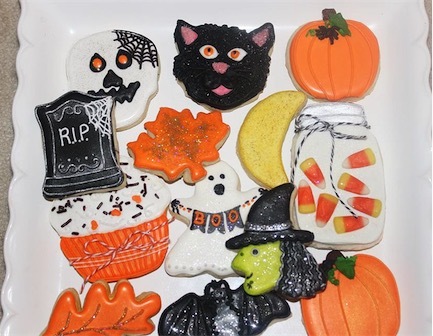 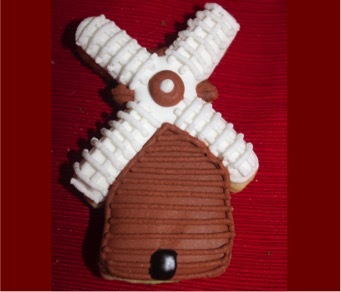 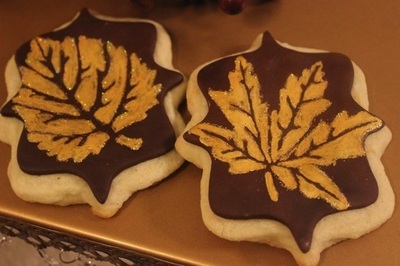 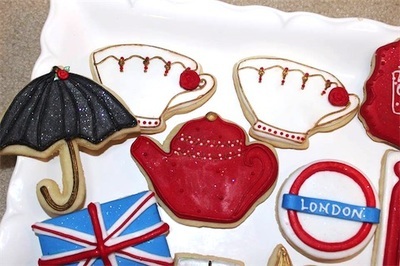 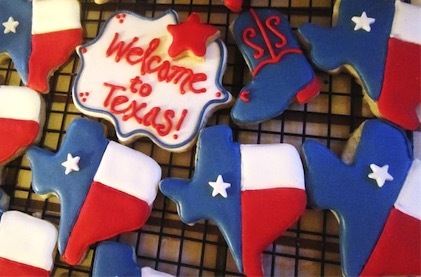 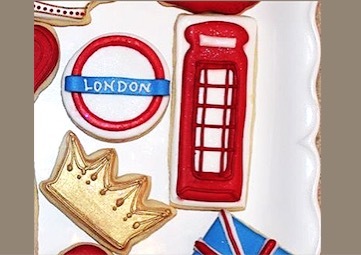 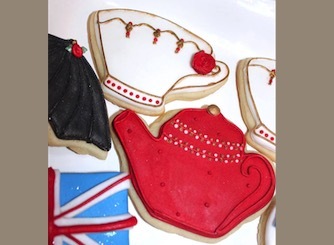 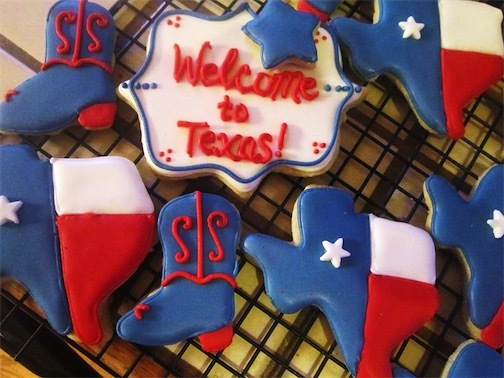 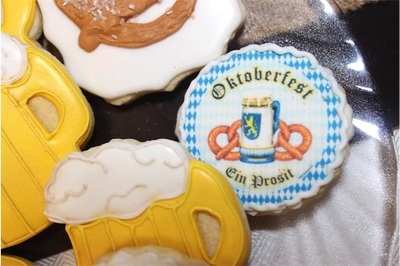 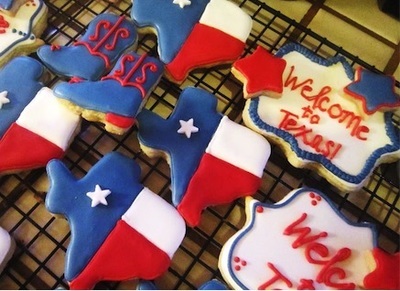 "Moving To London" Party Cookies! 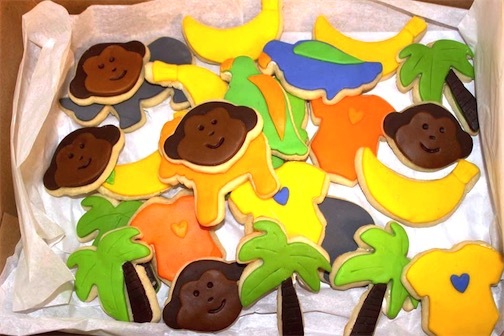 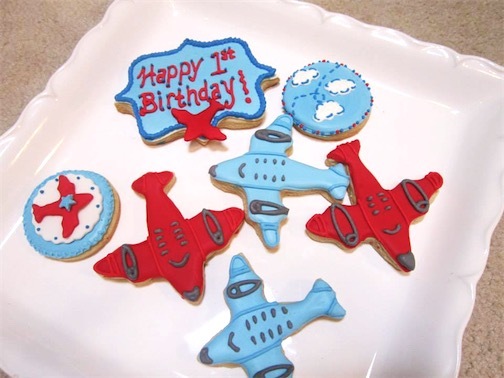 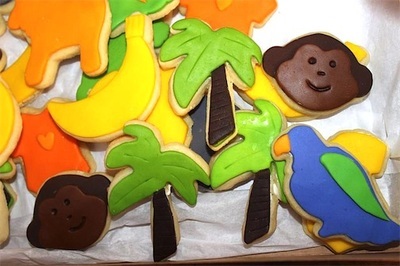 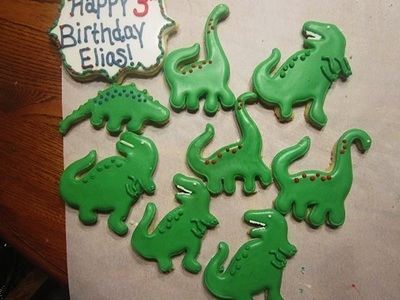 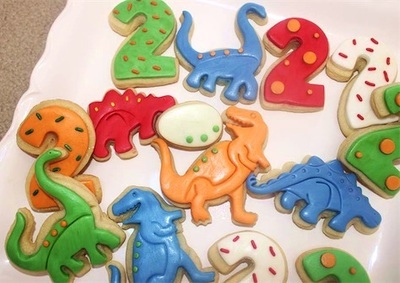 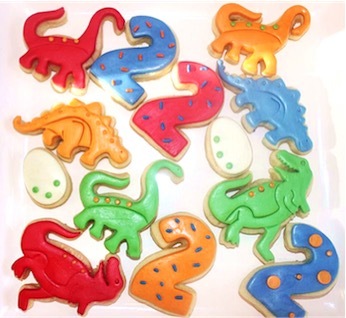 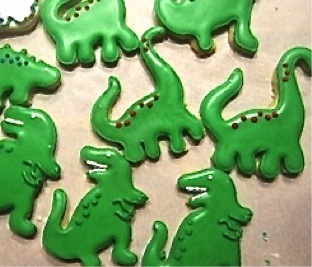 First Birthday, "Minimal Decor" Jungle Cookies! 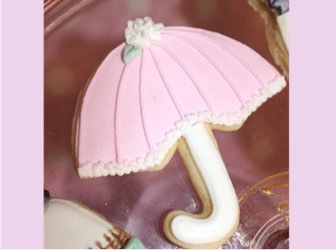 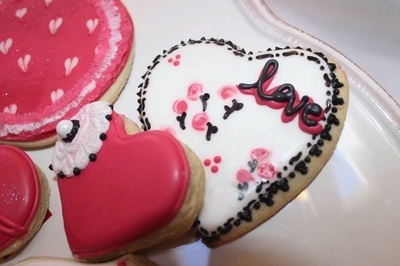 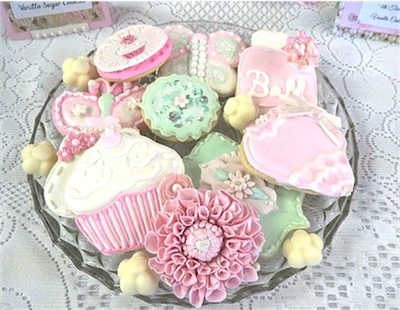 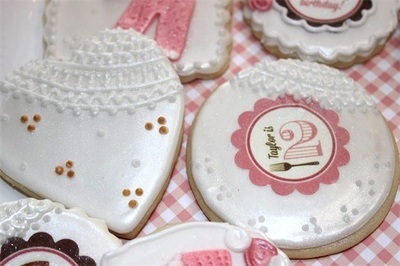 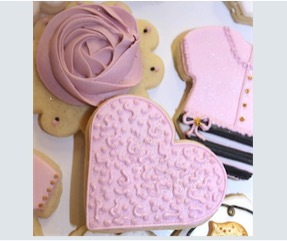 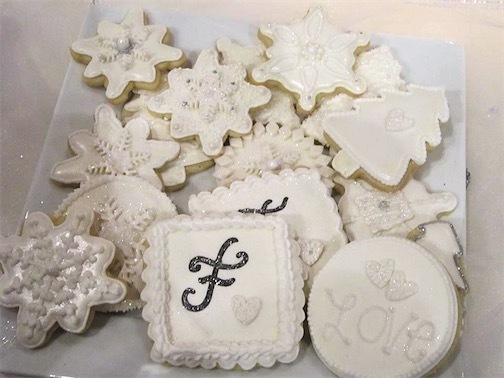 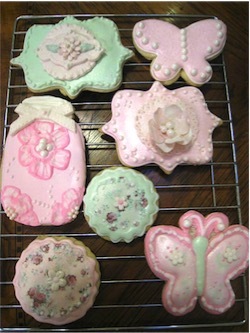 Shabby Chic 90th Birthday Cookies! 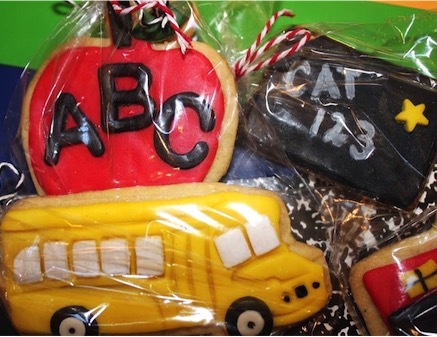 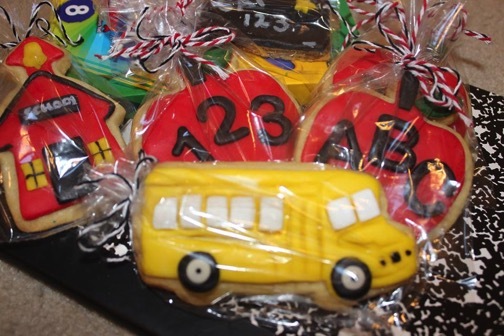 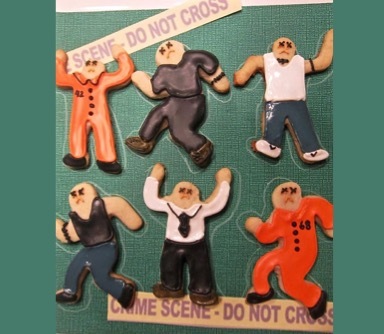 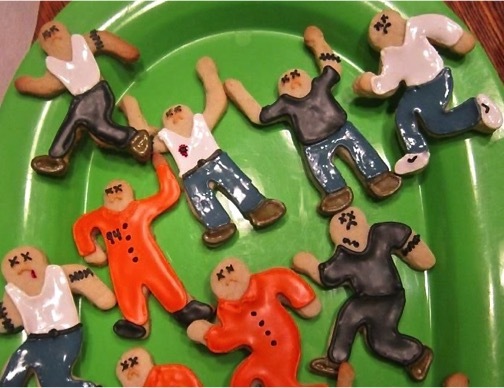 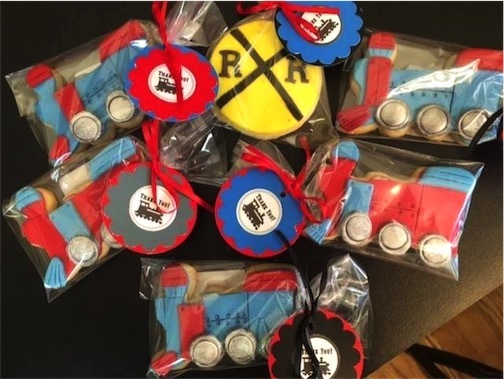 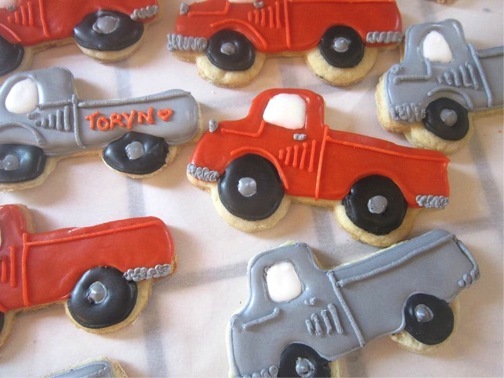 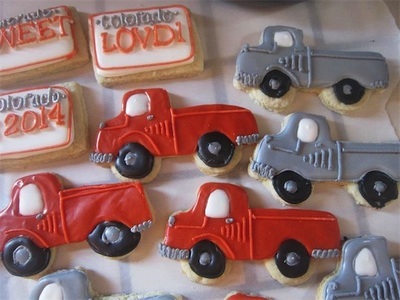 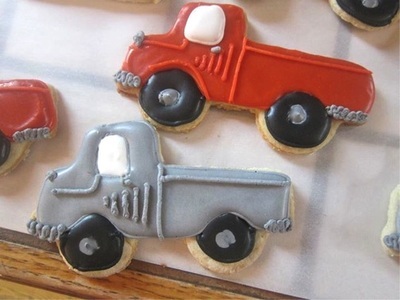 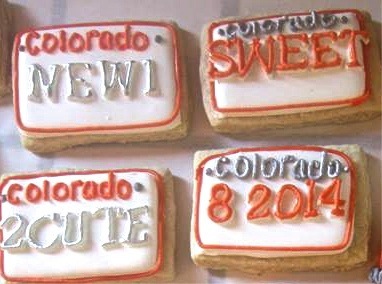 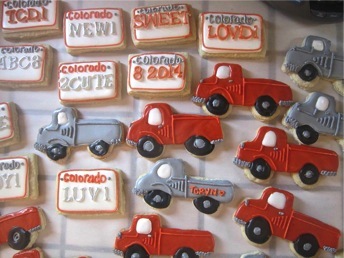 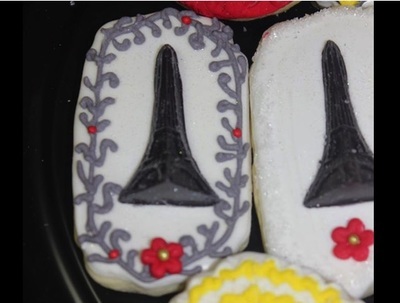 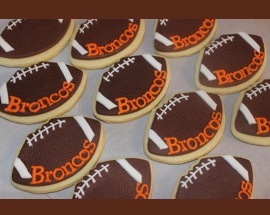 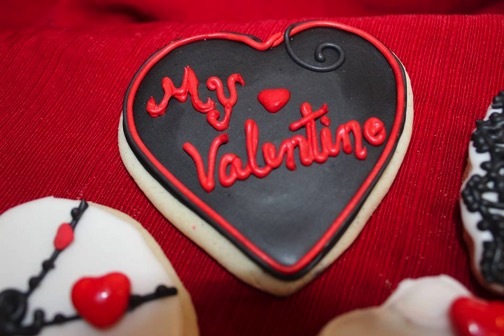 Trucks & License Plate Cookies! 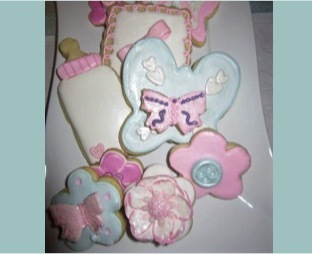 Books & Butterflies Baby Shower Cookies! 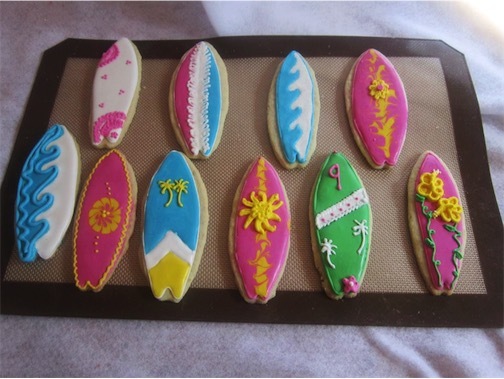 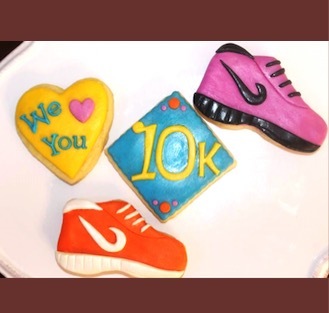 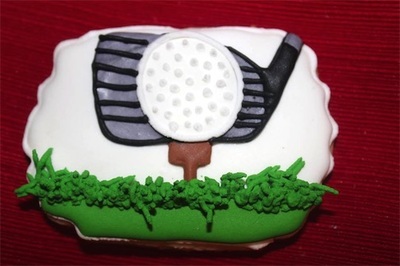 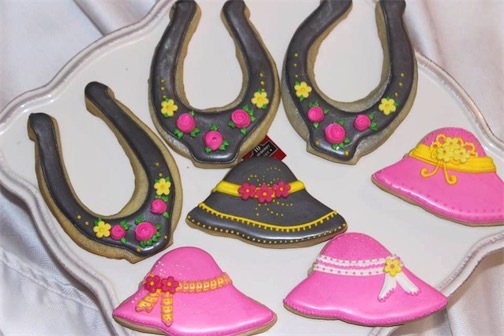 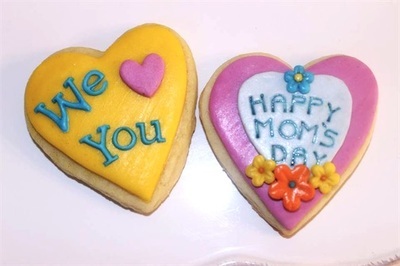 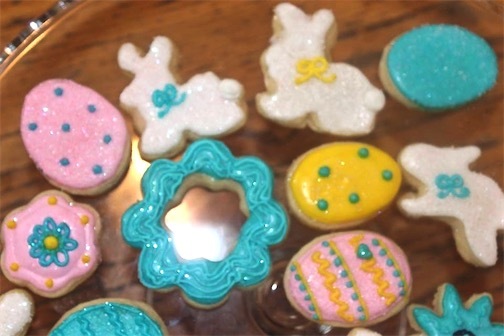 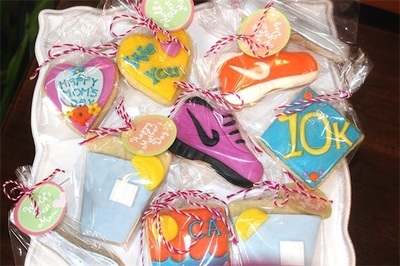 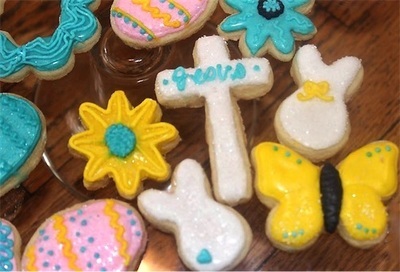 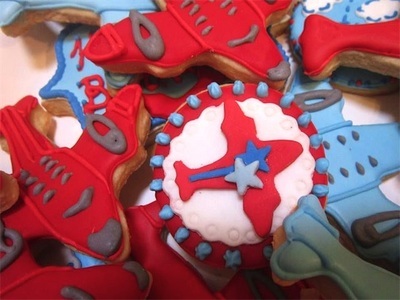 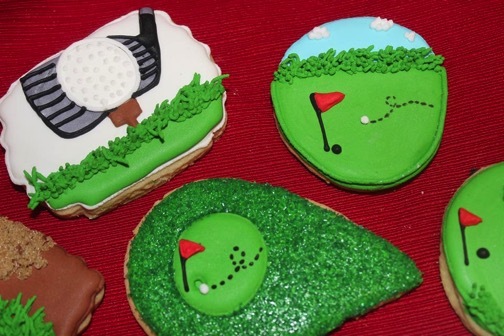 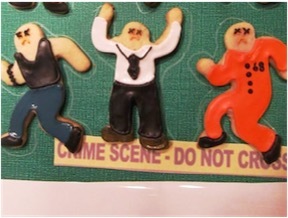 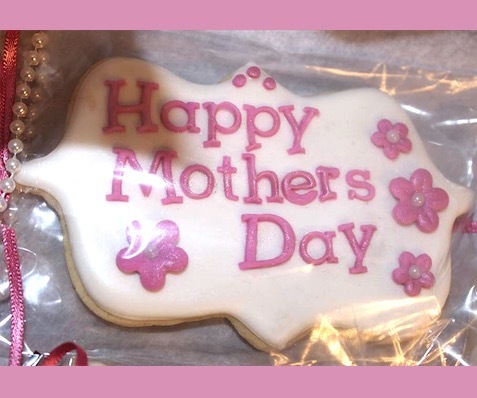 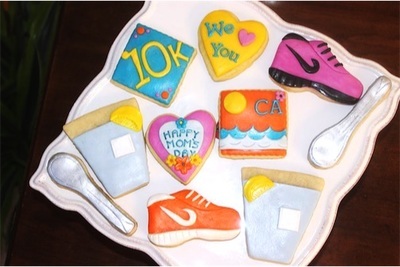 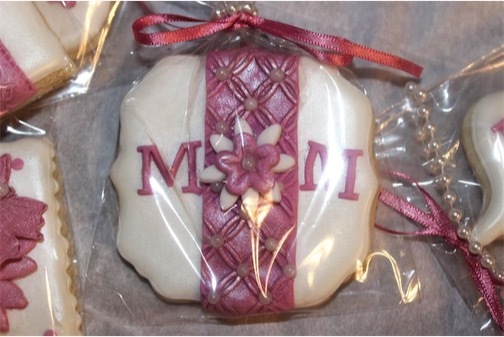 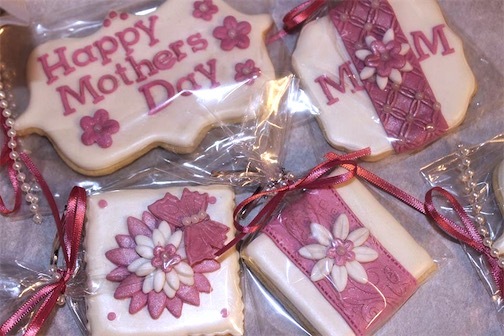 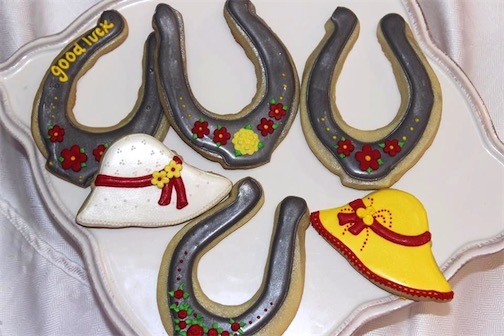 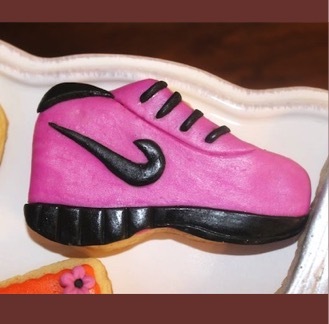 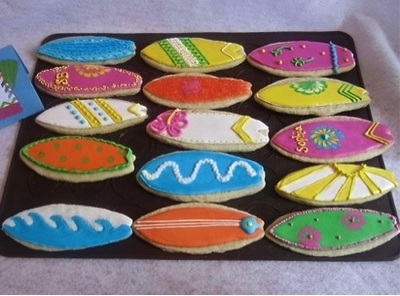 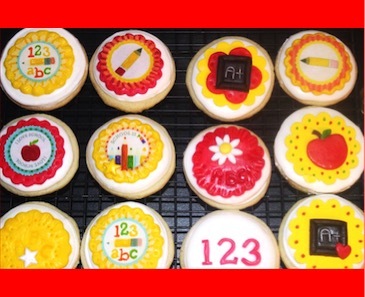 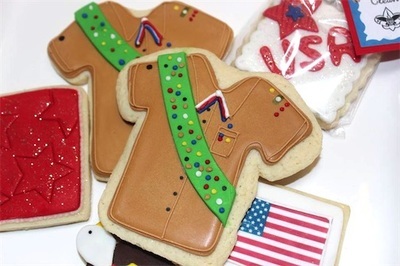 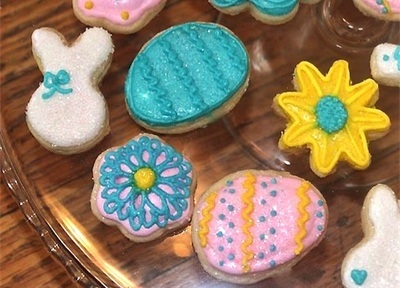 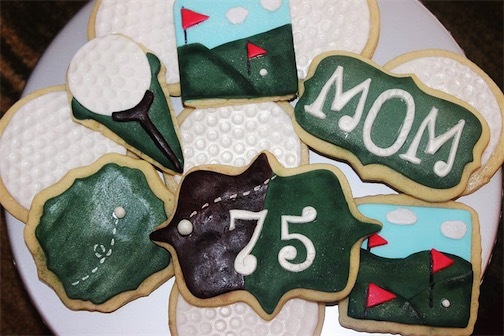 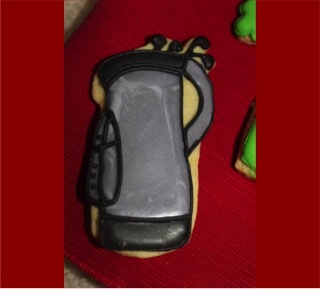 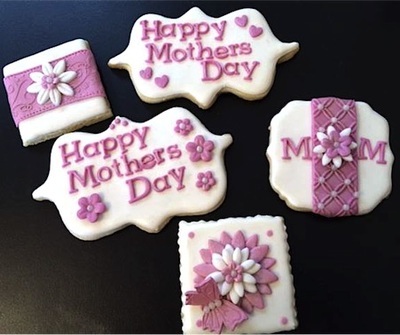 "Marathon Mom" Mother's Day Cookies! 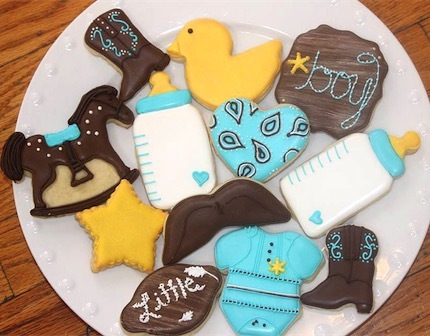 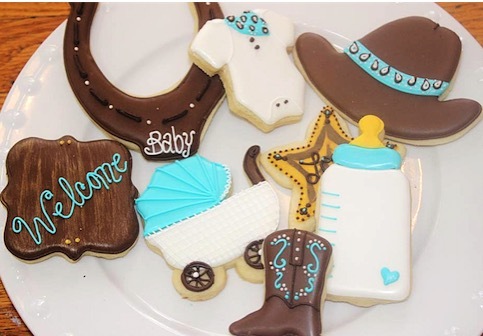 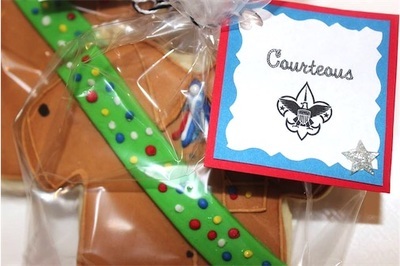 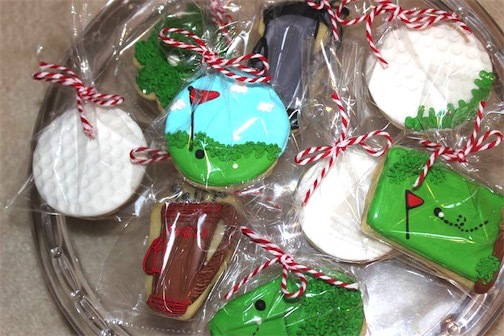 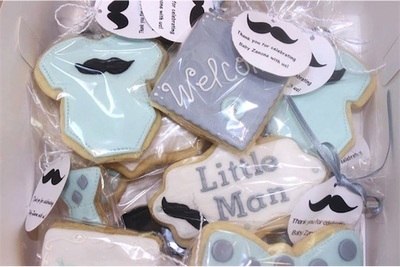 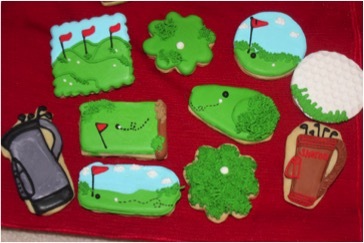 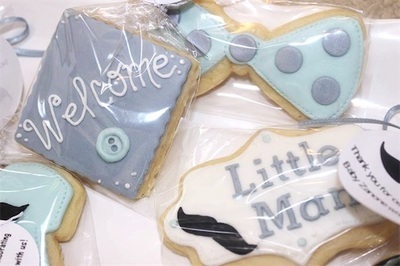 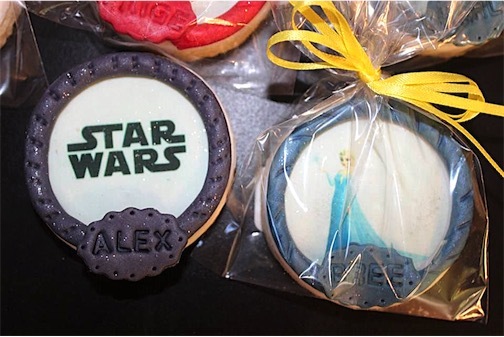 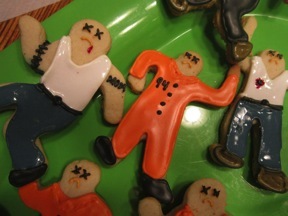 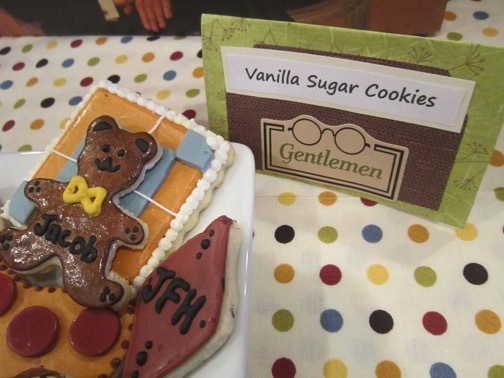 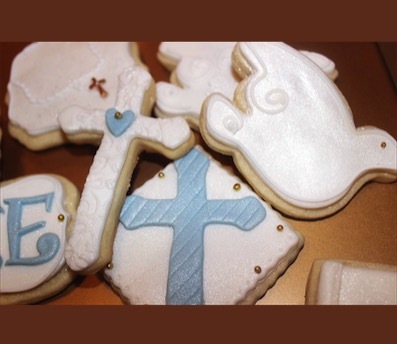 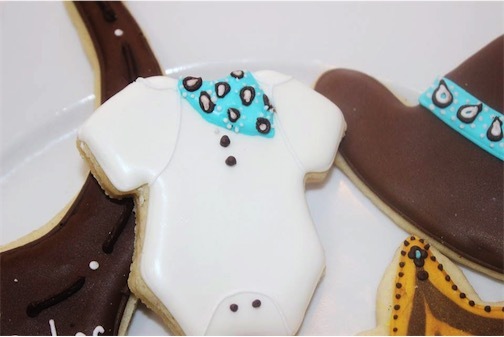 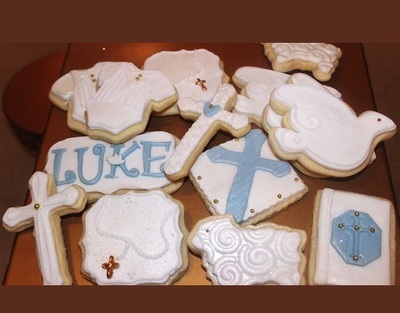 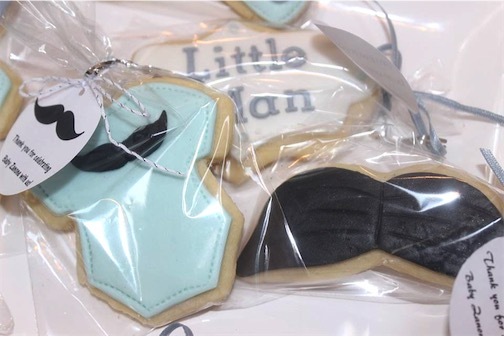 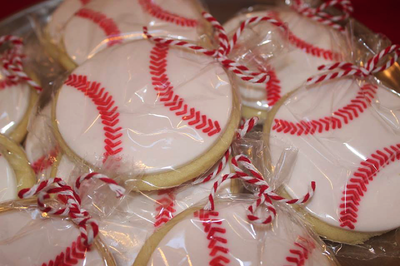 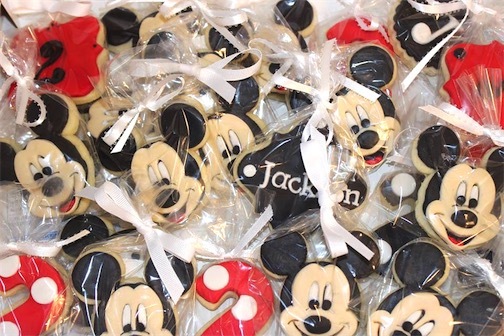 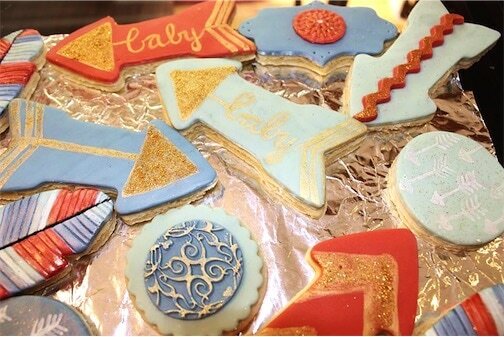 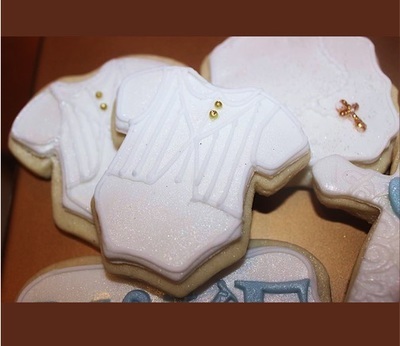 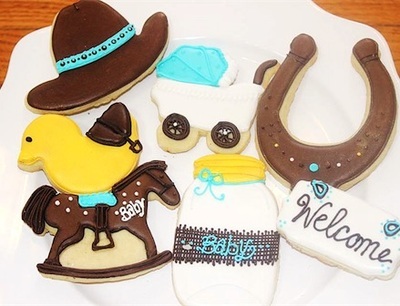 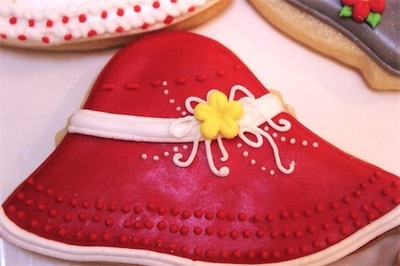 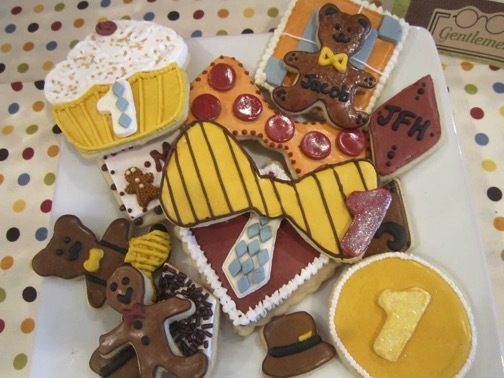 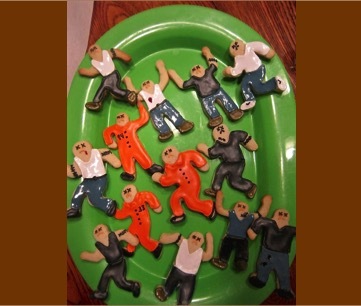 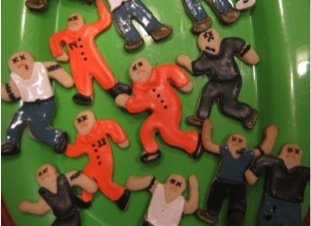 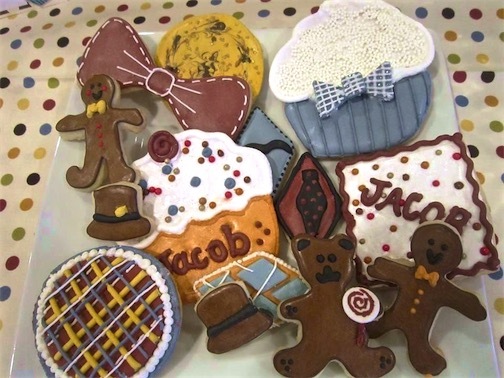 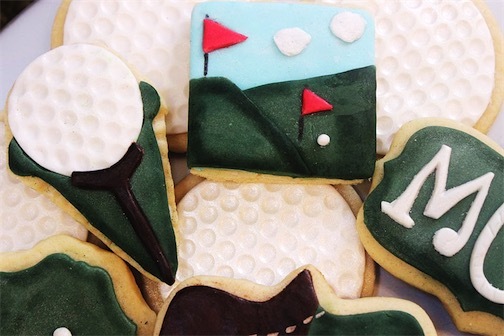 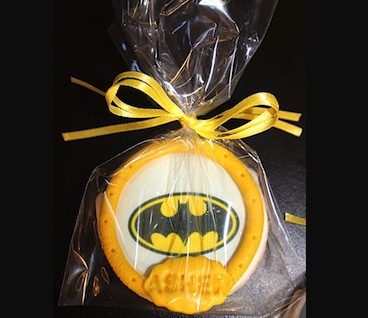 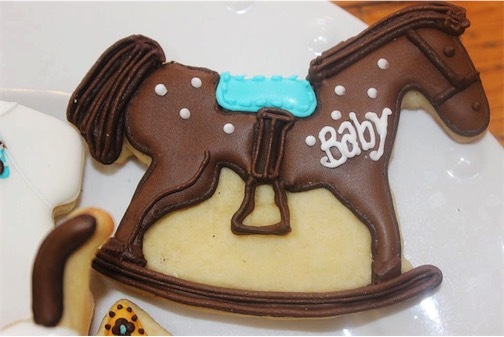 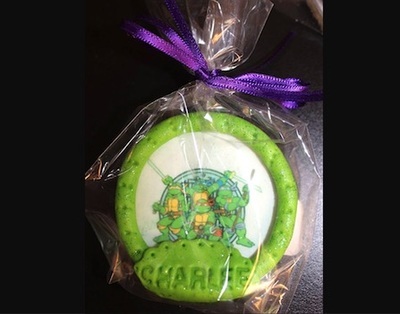 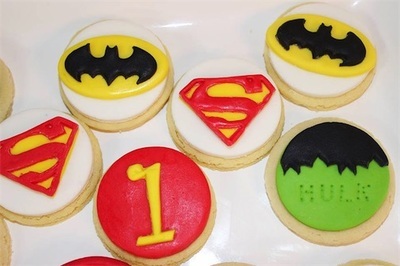 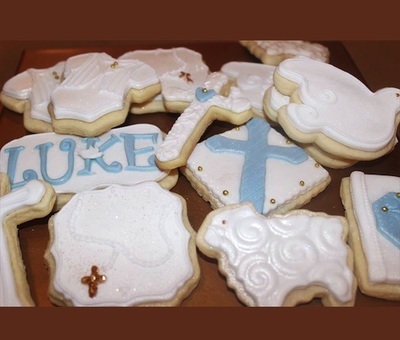 "Little Man" Baby Shower Cookies! 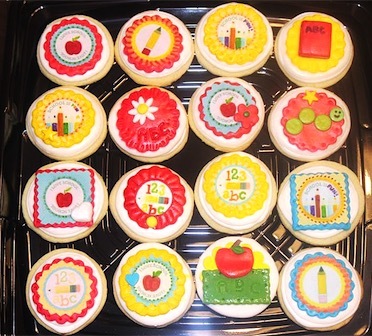 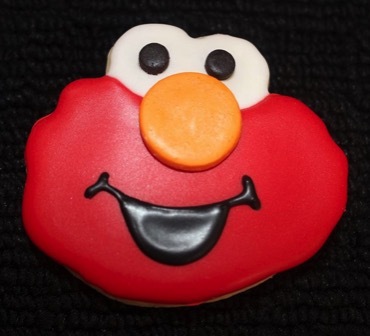 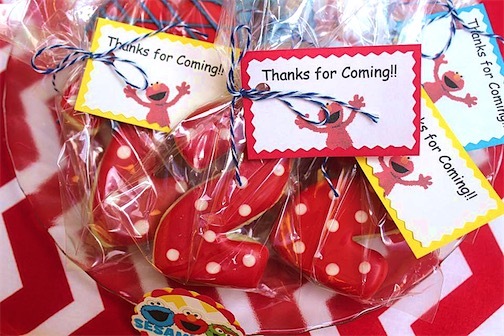 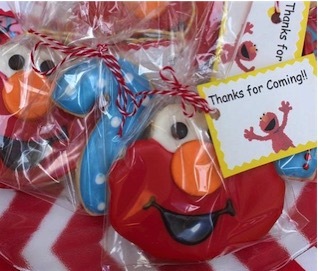 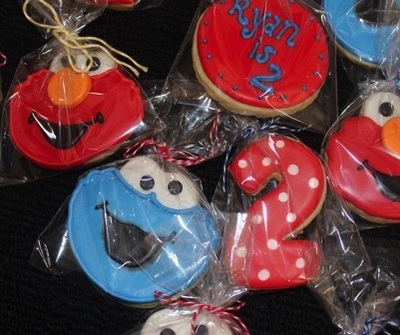 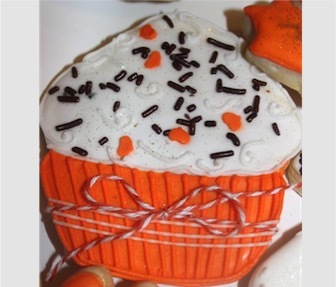 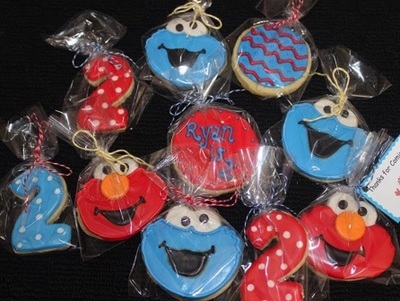 Sesame Street Birthday Party Cookies! 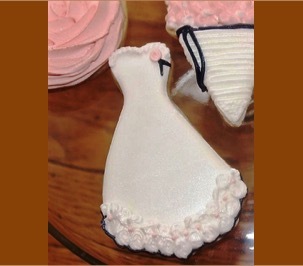 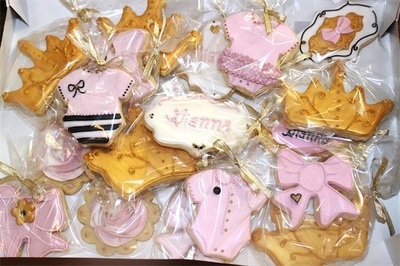 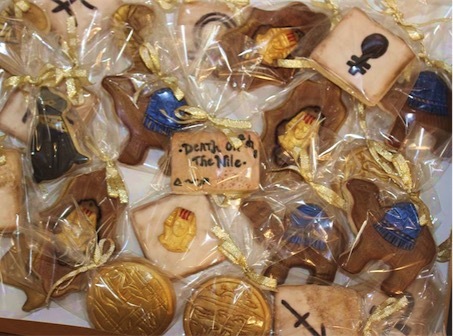 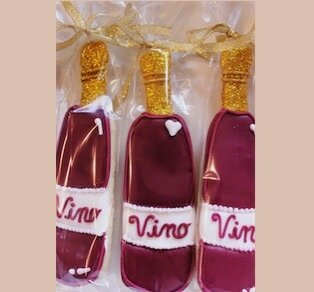 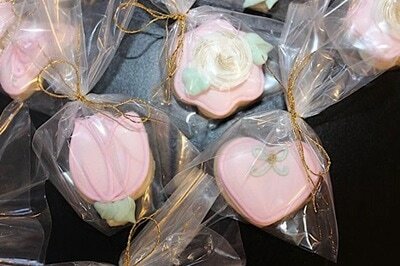 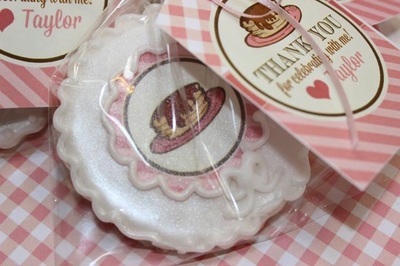 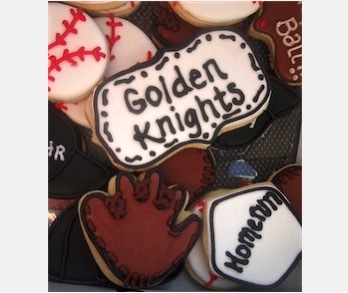 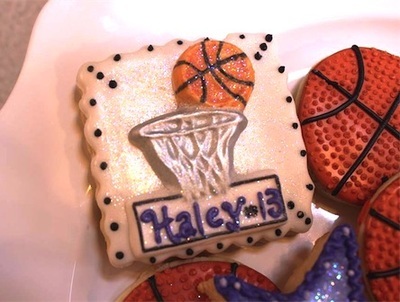 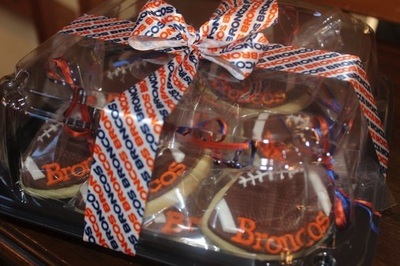 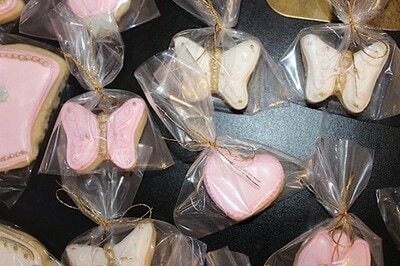 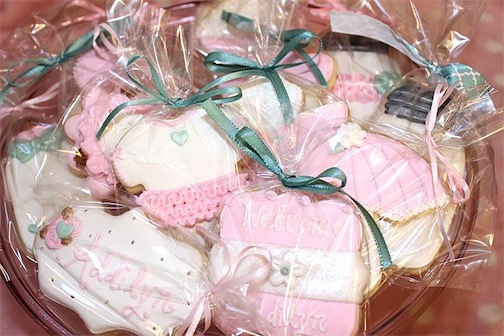 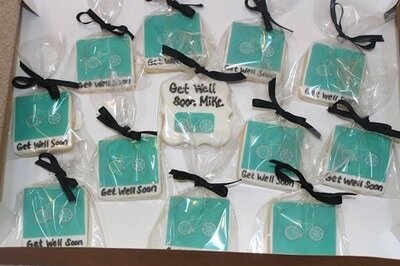 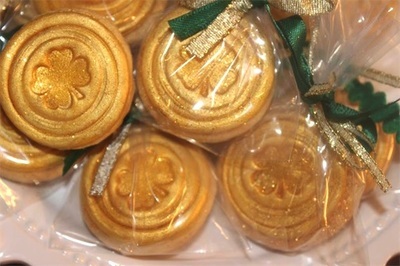 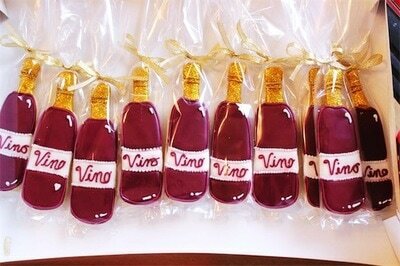 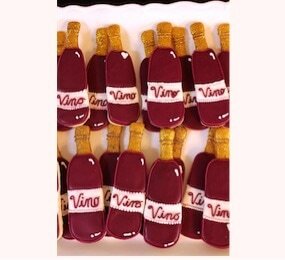 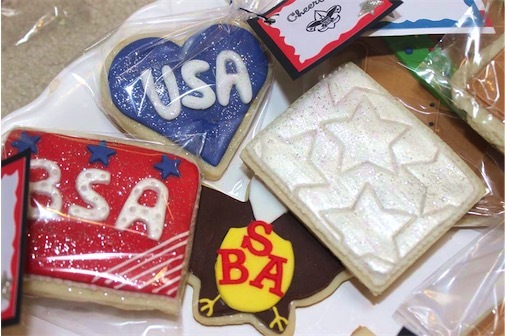 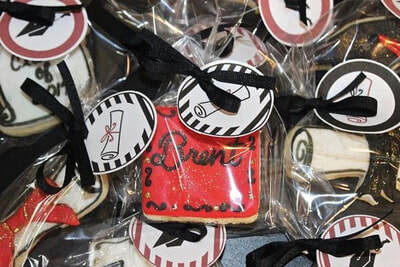 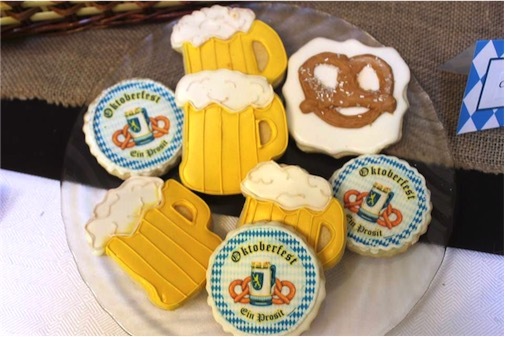 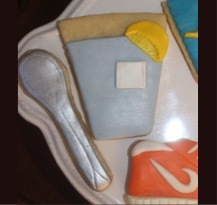 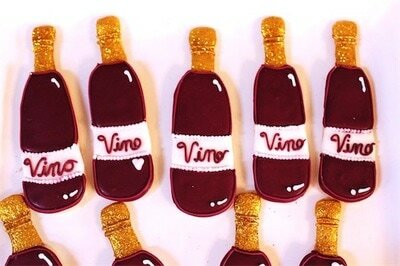 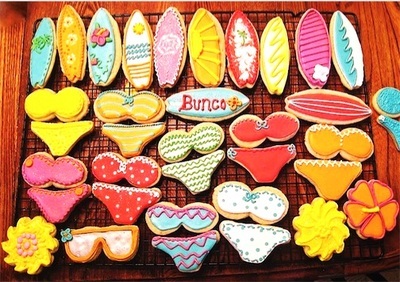 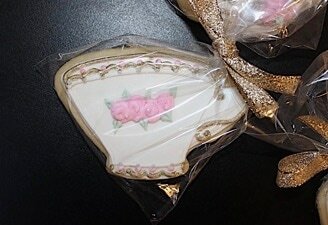 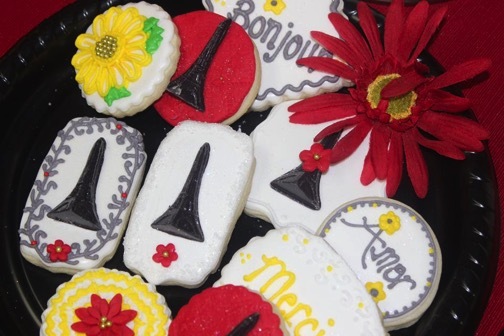 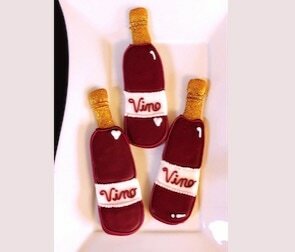 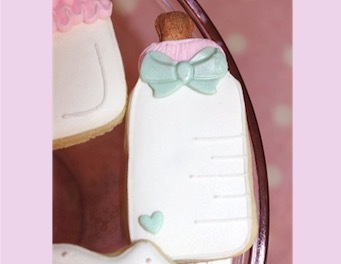 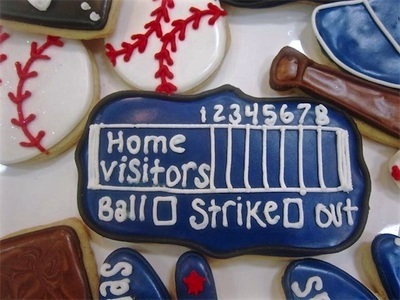 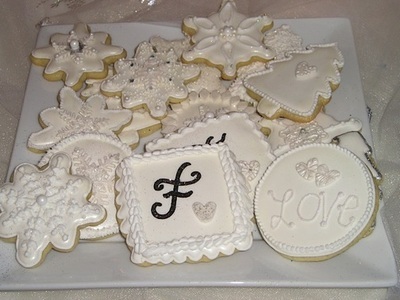 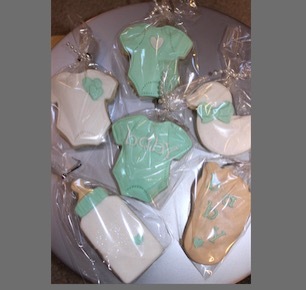 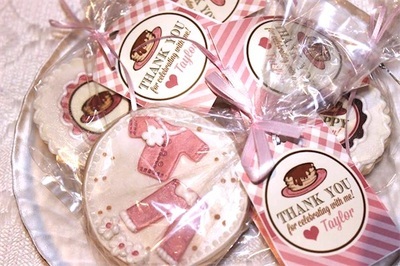 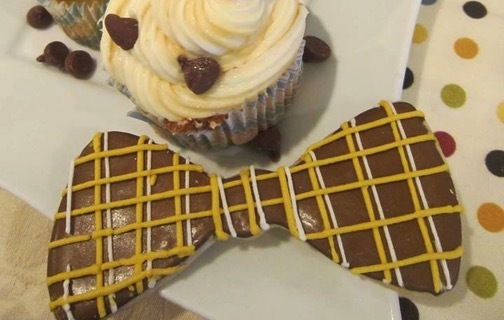 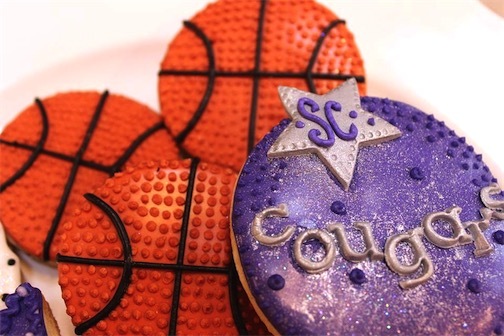 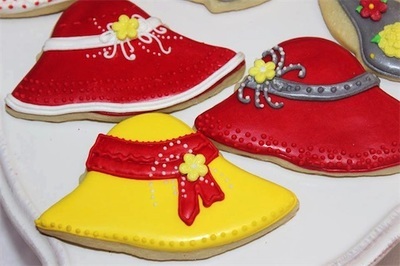 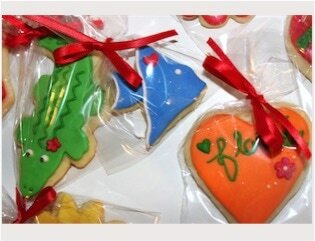 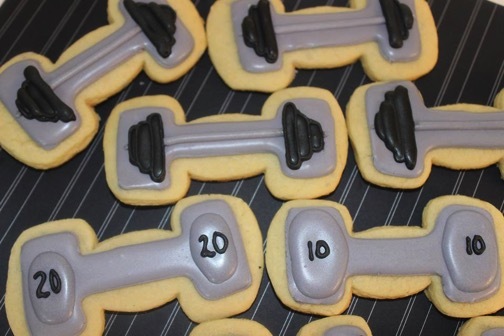 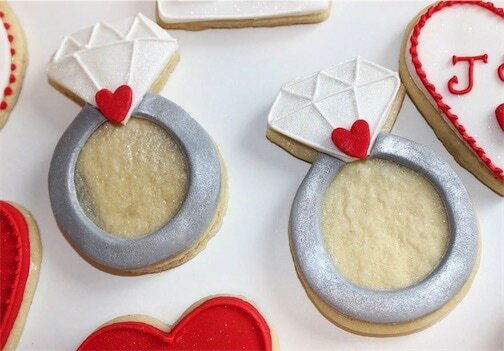 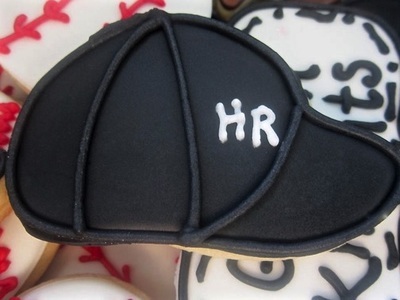 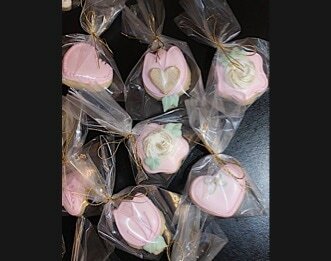 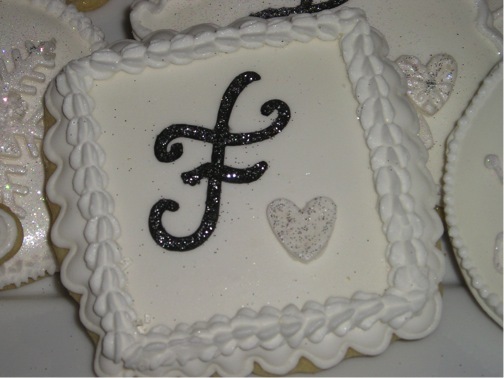 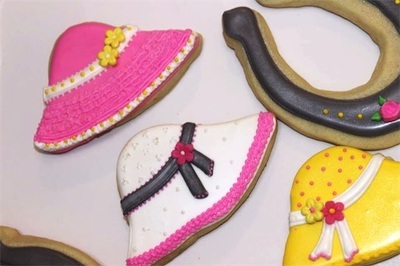 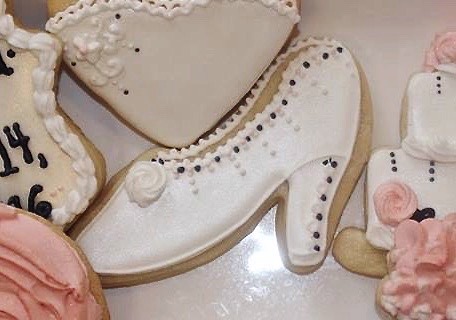 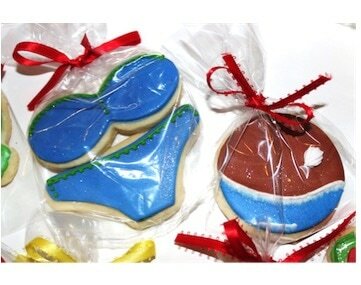 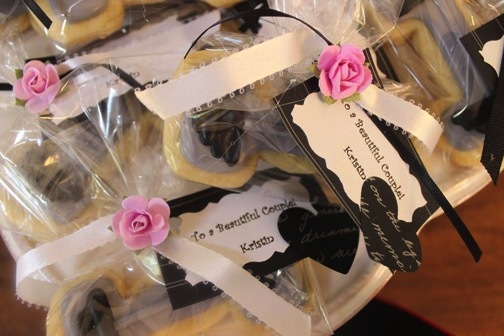 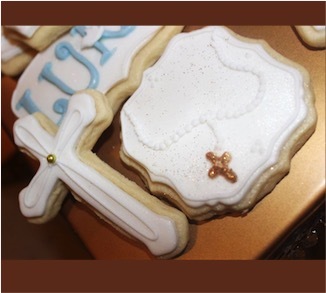 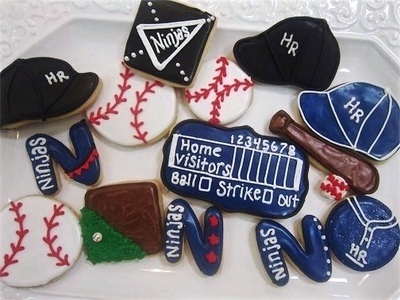 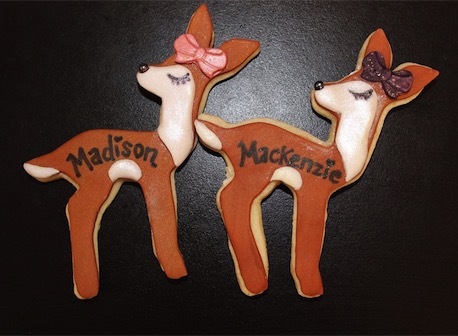 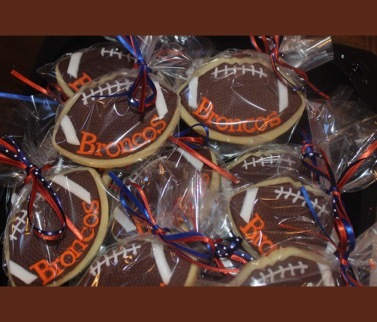 "Weight Lifting" Bridal Couple's Shower Cookies! 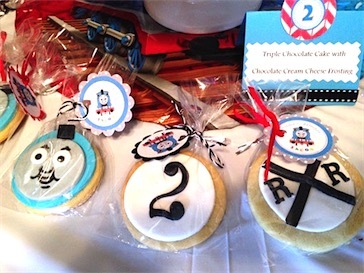 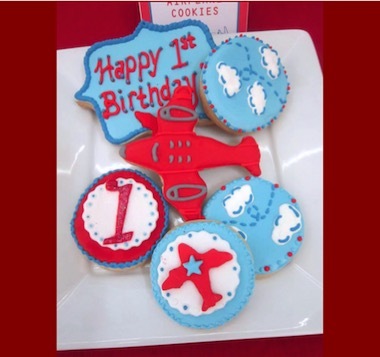 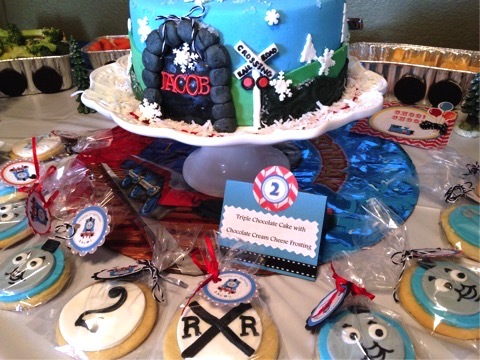 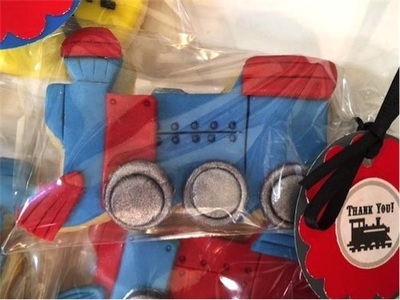 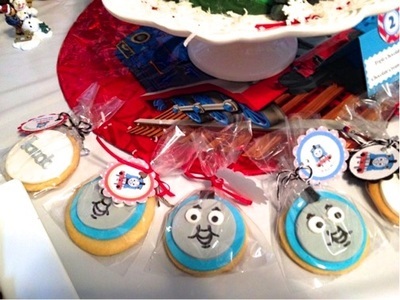 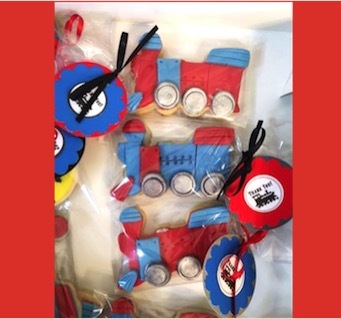 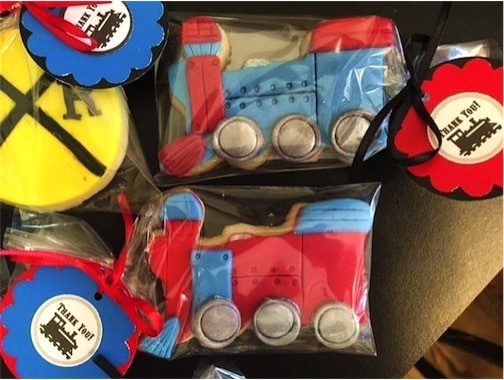 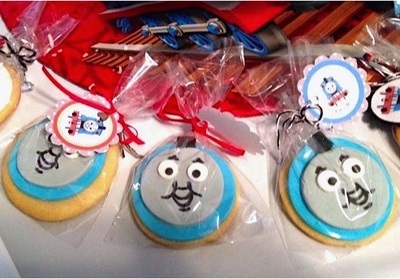 Thomas Train Birthday Party Cookies! 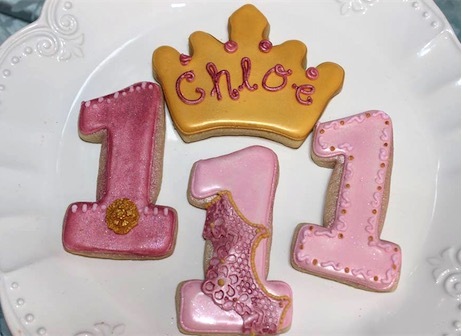 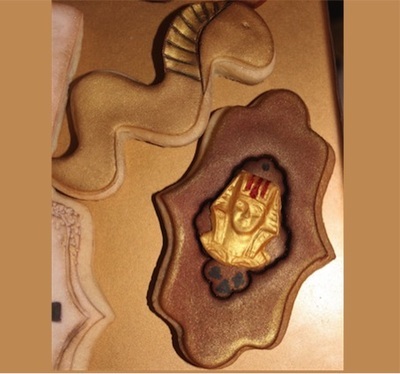 "Pink & Gold Princess" 1st. 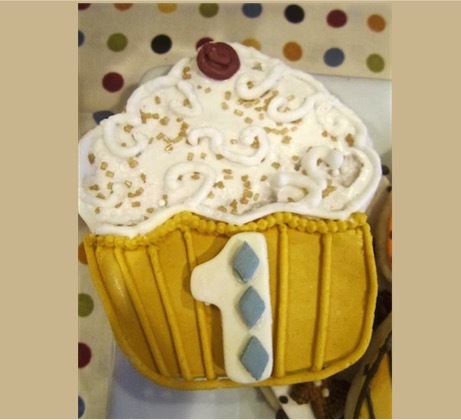 Birthday Party! 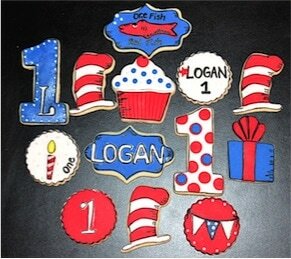 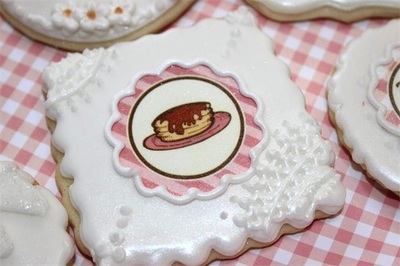 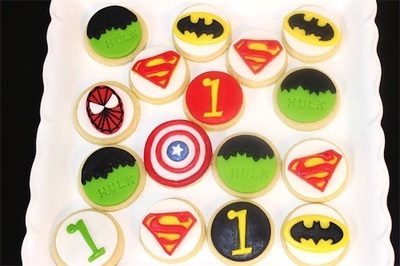 Pancakes & Pajama Birthday Party Cookies! 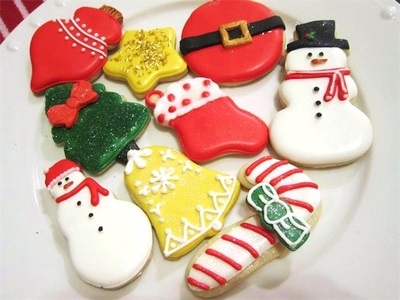 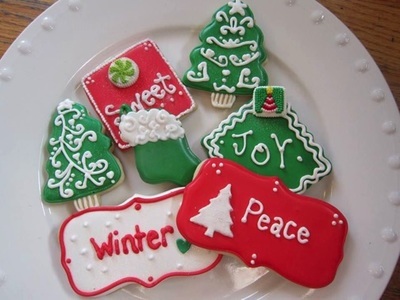 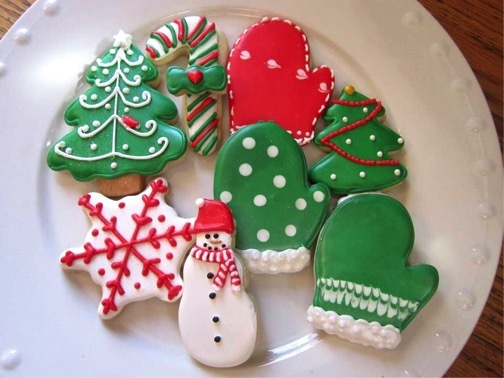 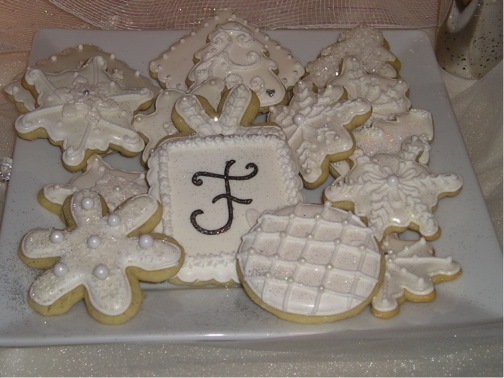 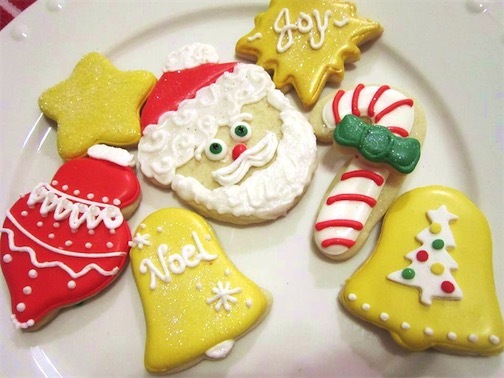 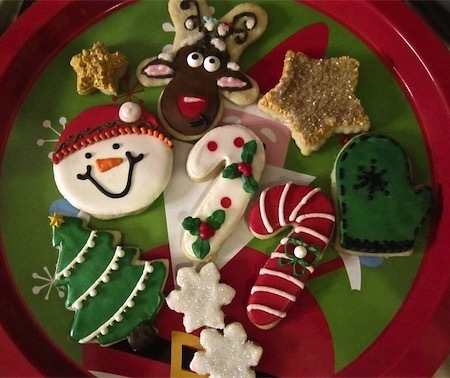 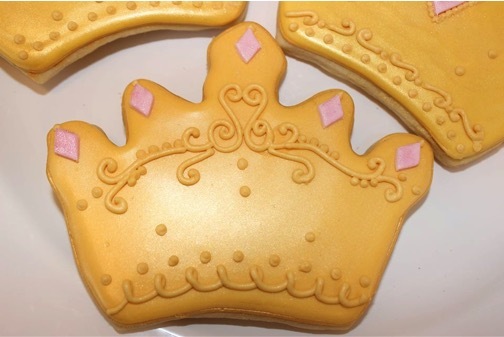 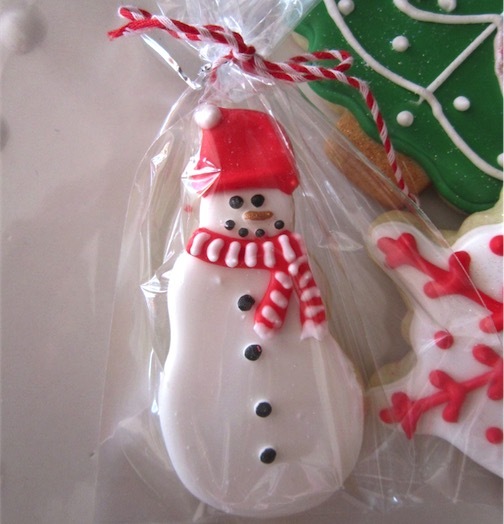 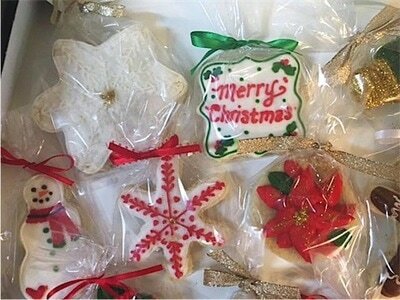 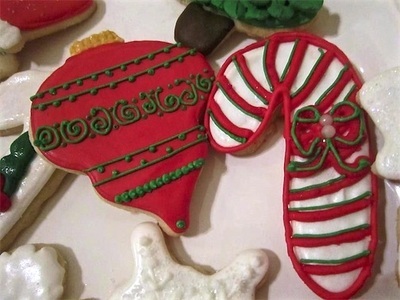 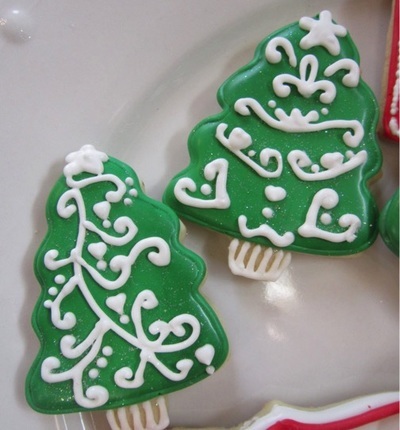 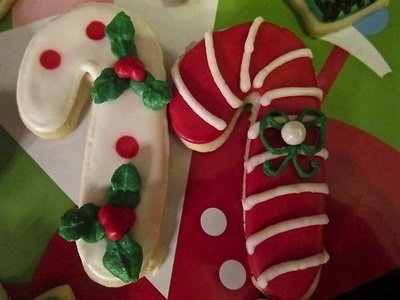 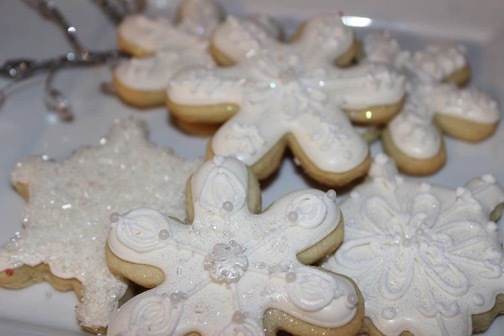 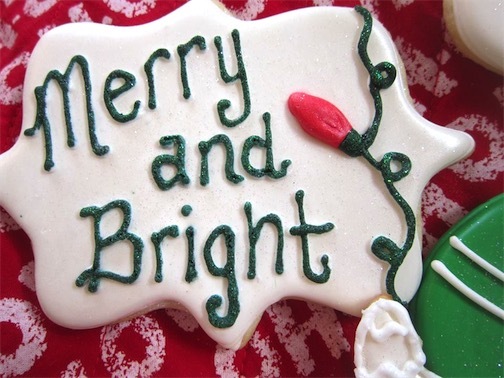 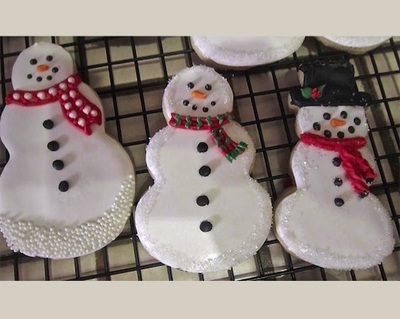 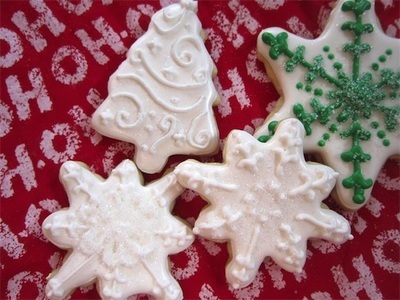 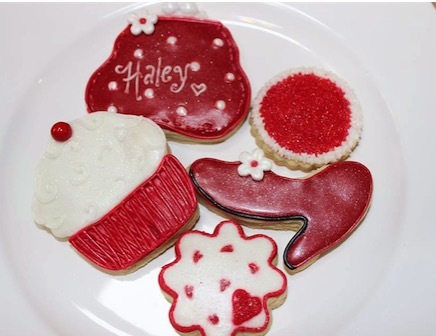 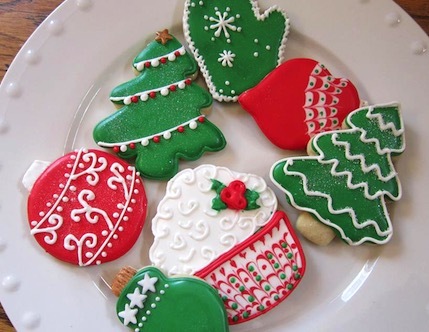 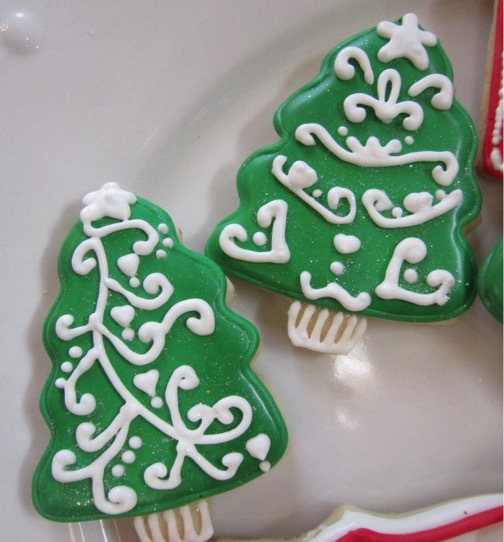 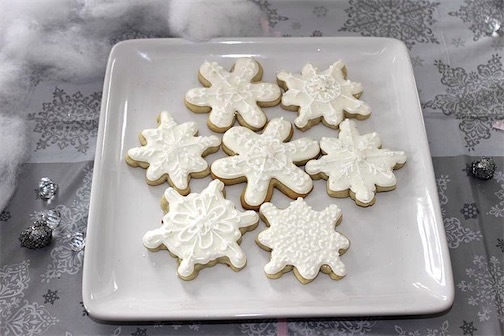 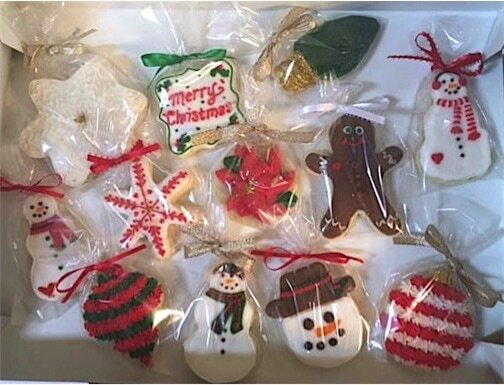 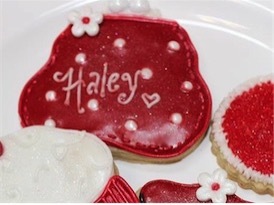 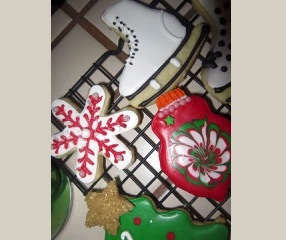 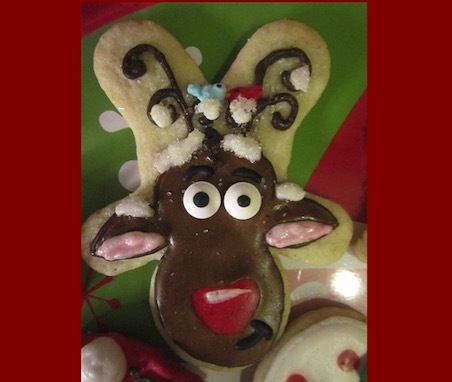 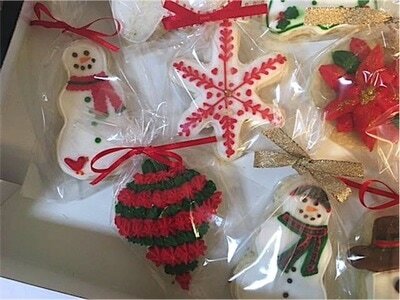 Gluten Free, Royal Iced, Christmas Sugar Cookies! 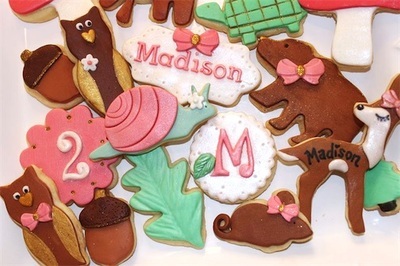 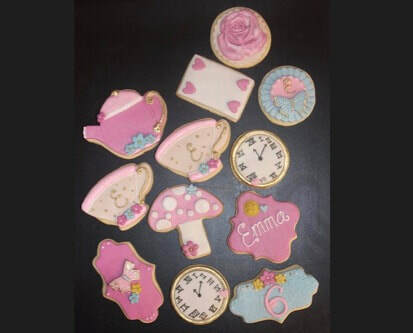 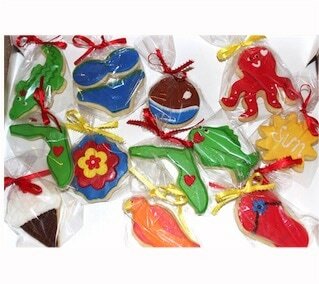 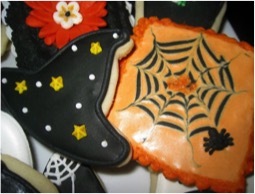 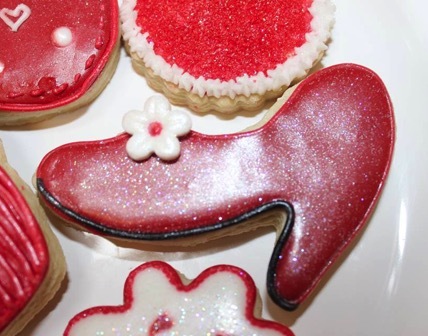 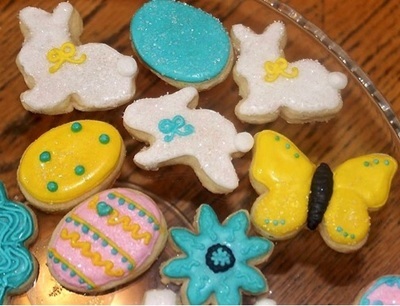 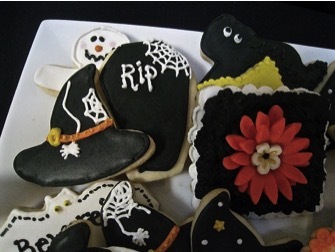 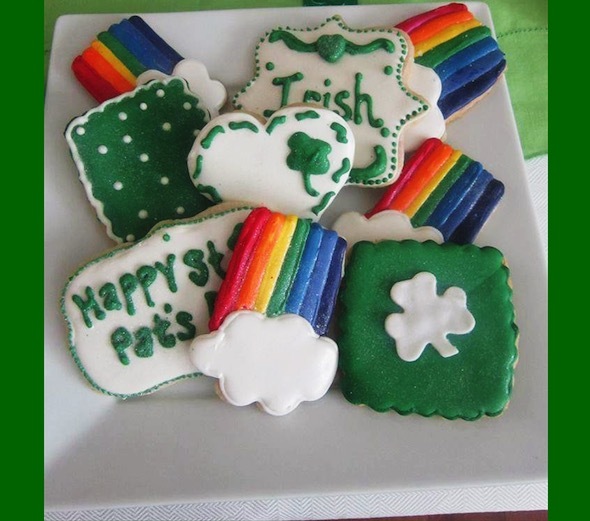 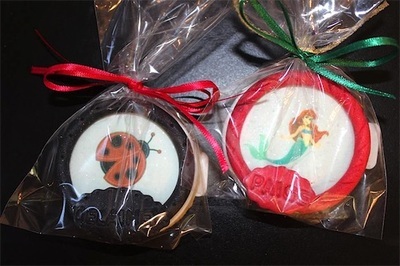 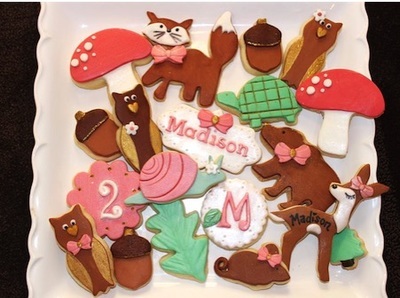 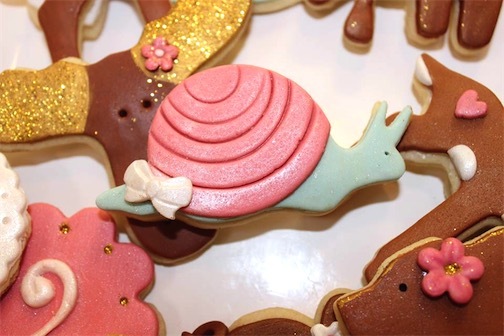 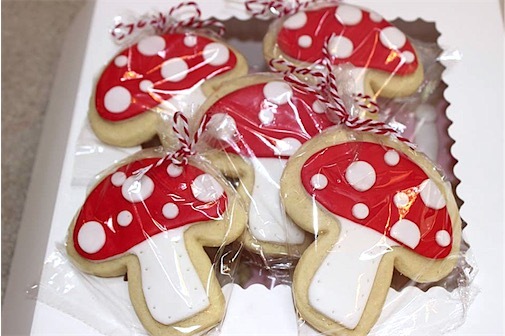 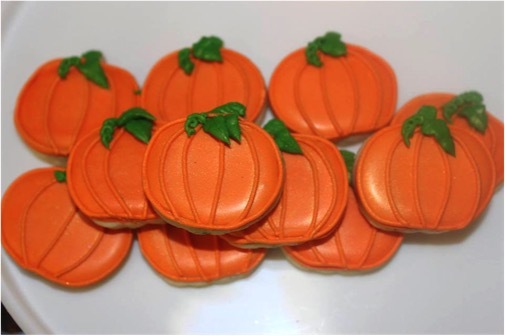 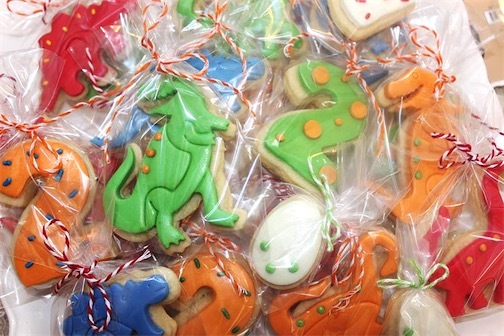 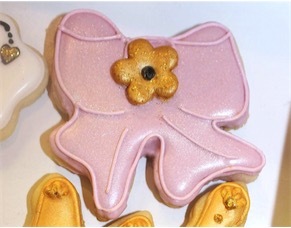 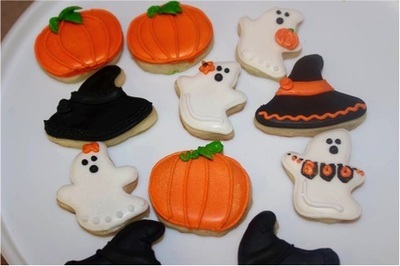 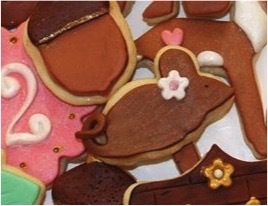 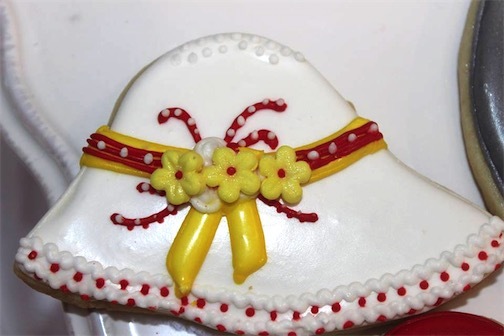 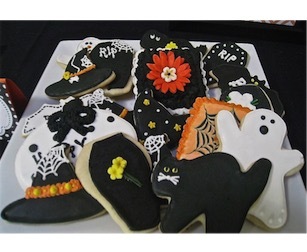 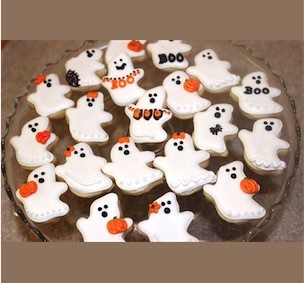 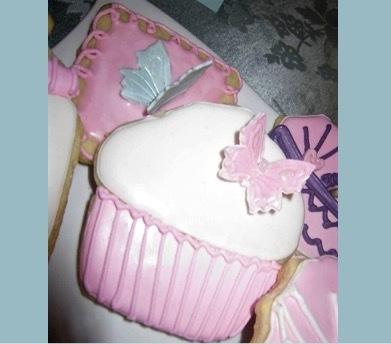 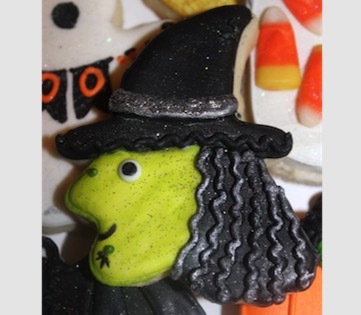 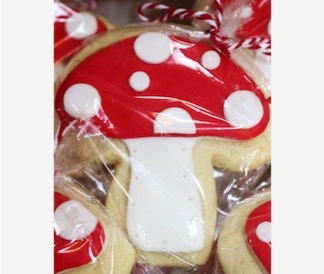 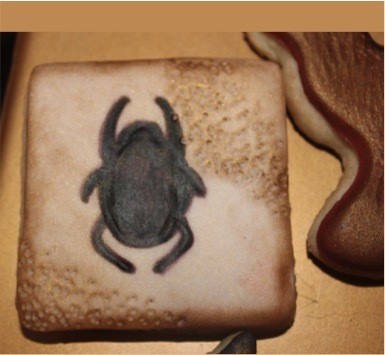 "Butterflies, Fairies & Toadstools" Themed Party Cookies!